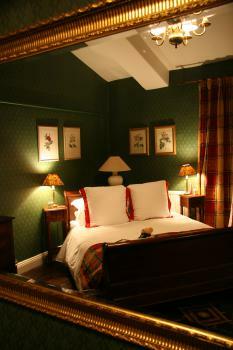 Gothic leaded windows, oak panelling, a turn-of-the-century open fireplace and elegant Edwardian double four poster bed. 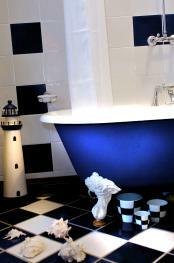 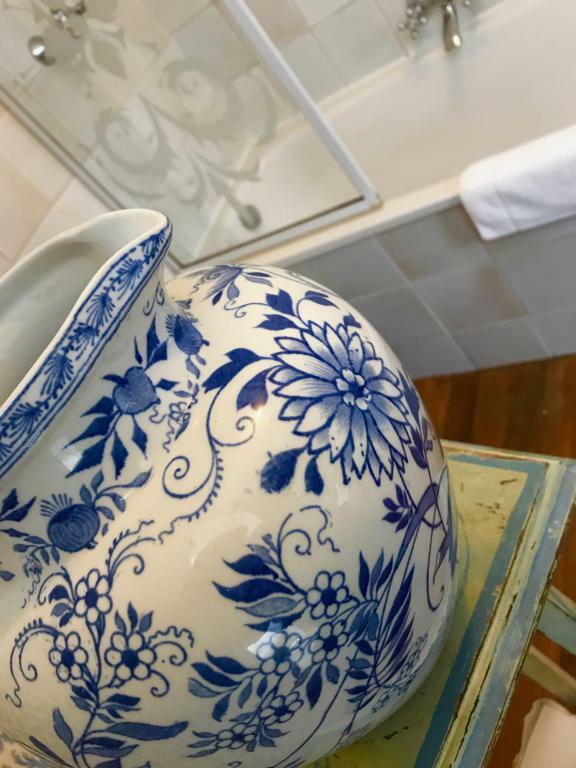 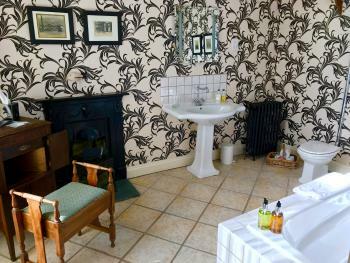 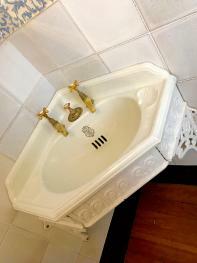 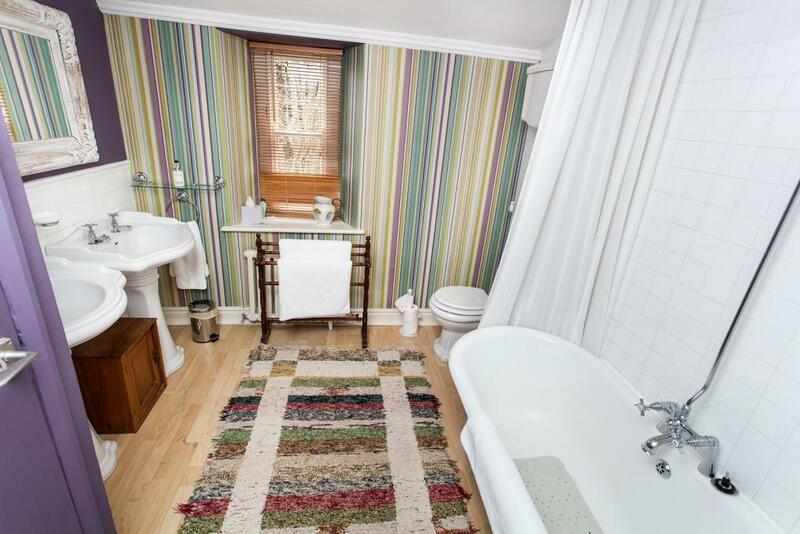 The stunning blue & white bathroom has a marble washstand and Victorian claw footed bath. 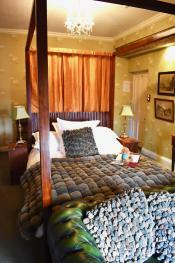 There is room for a cot or rollaway bed on request. 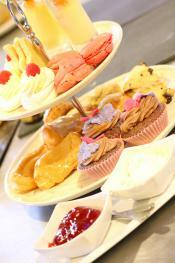 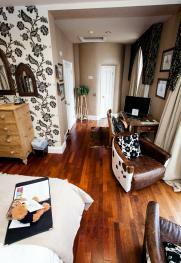 You will have access to a galley kitchen for tea & coffee and can take a tray to your room if you prefer. 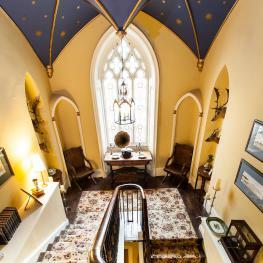 On the ground floor and in part of the old Orangery with two huge arched gothic windows opening directly onto the garden. 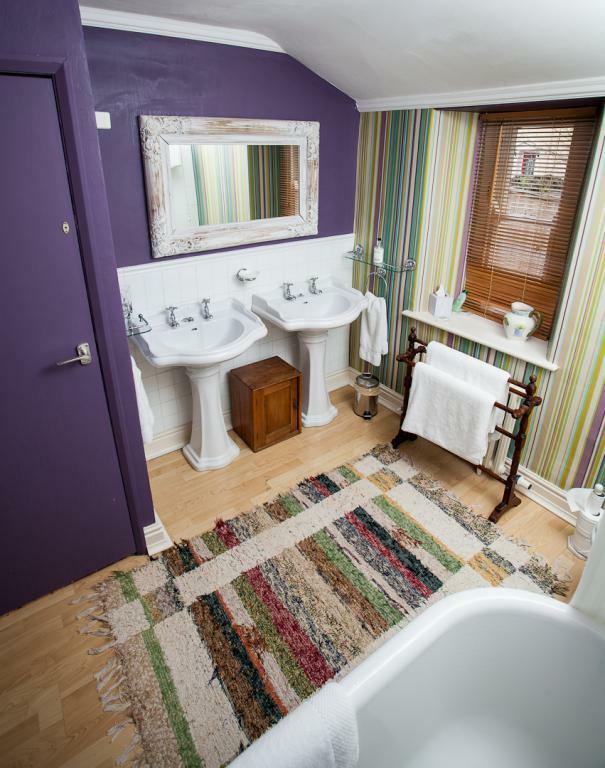 There is a turret for a wardrobe, underfloor heating and a touch of Wendy’s African upbringing giving the room a more contemporary feel. 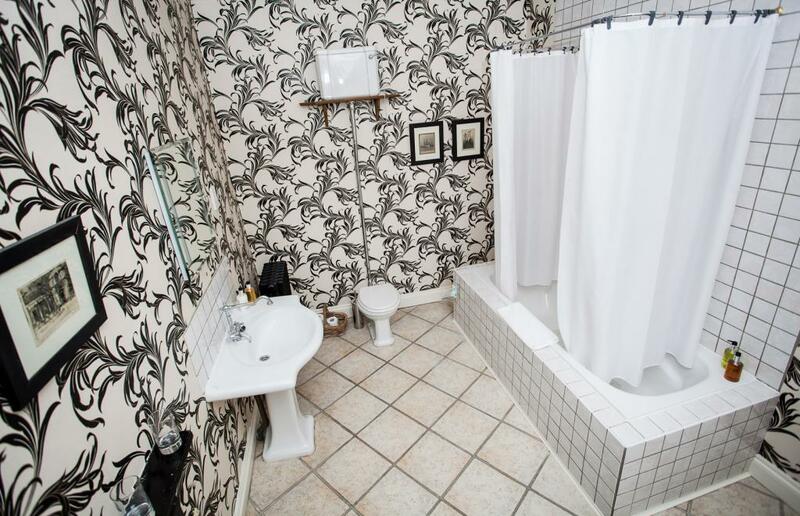 This room has a wet room bathroom and level step-free access if required. Three beautiful castle bedrooms all with original features which include painted eighteenth century oak panelling, perhaps a wardrobe inside a turret, a floor to ceiling arched Gothic window over the front porch or a bay window extending the entire width of the room. 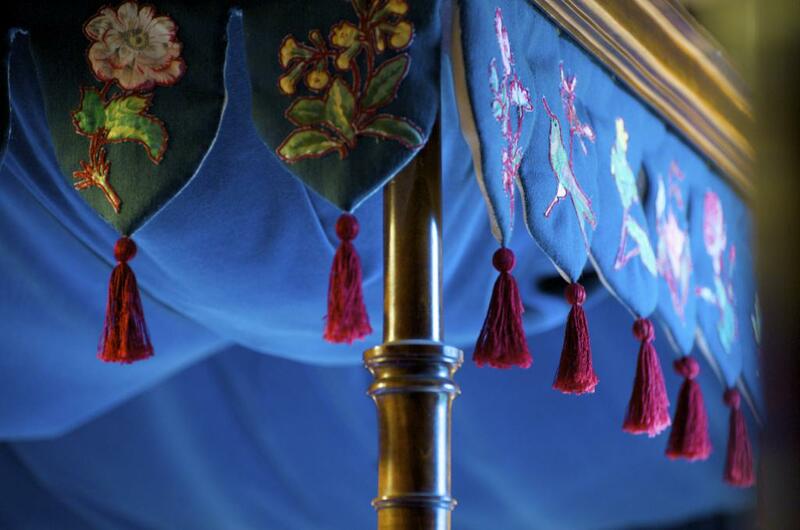 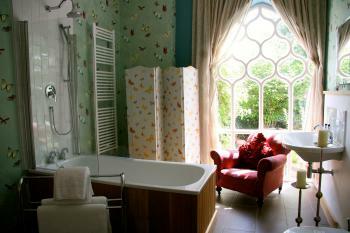 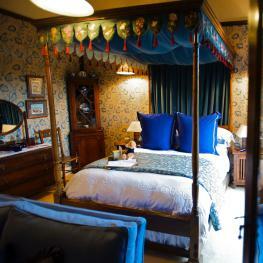 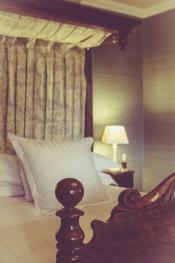 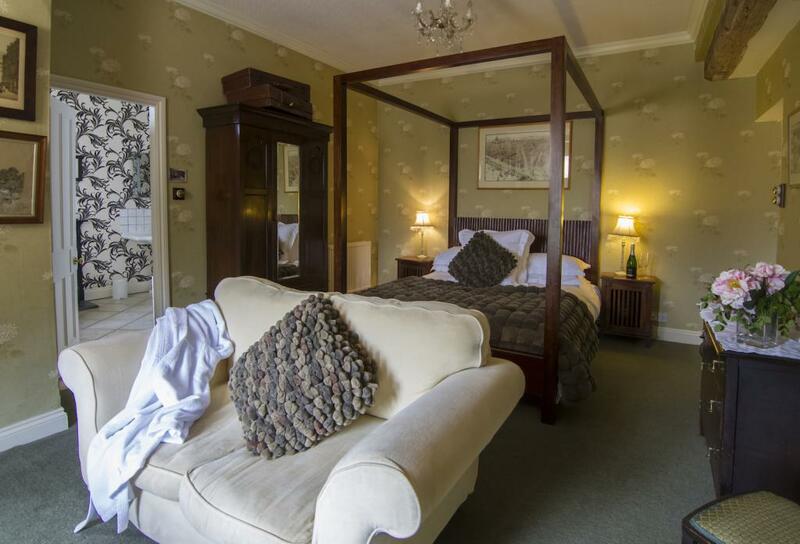 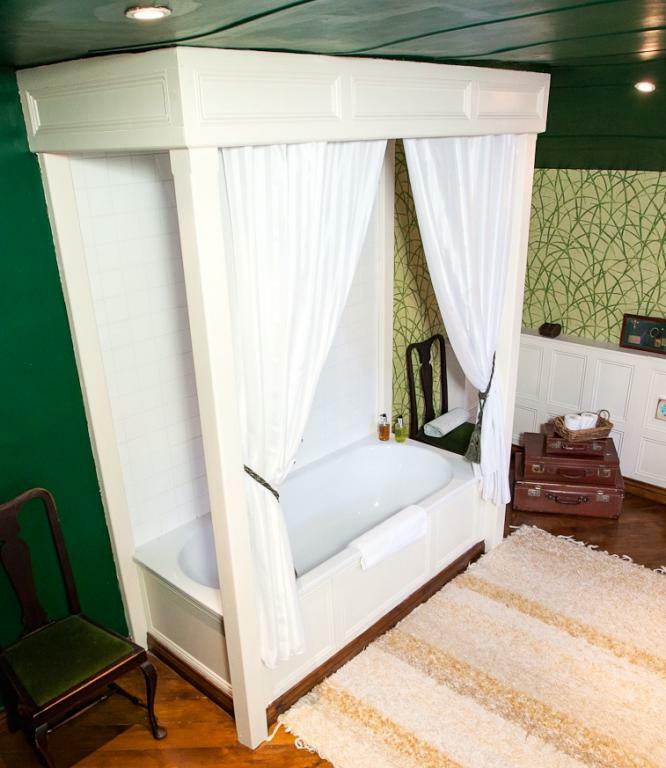 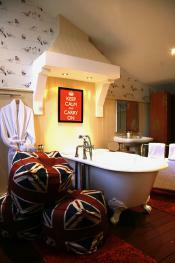 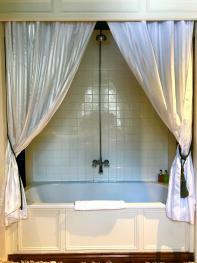 Antique and modern four poster beds, glorious bathrooms and views over the gardens. 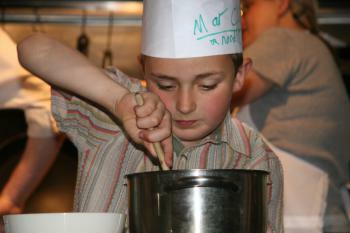 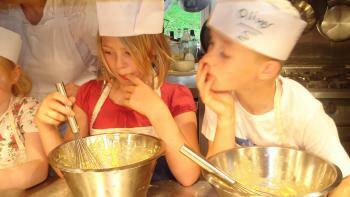 These rooms are not usually suitable for families although cots can be provided on request. 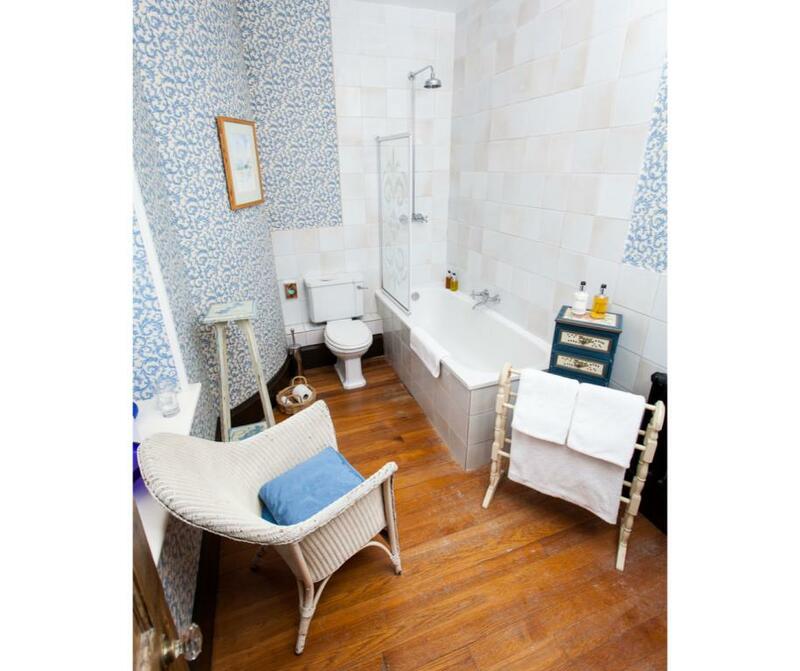 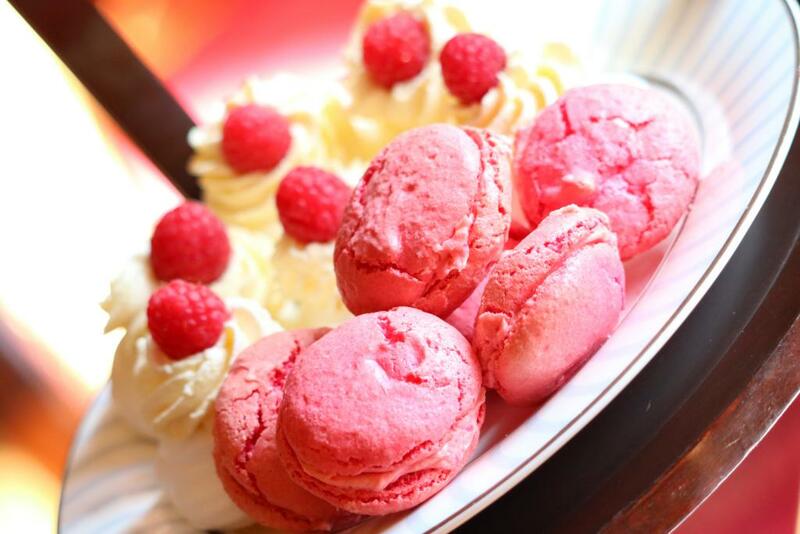 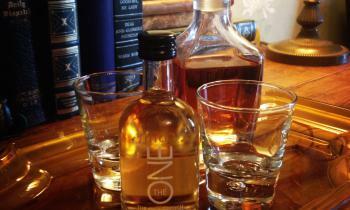 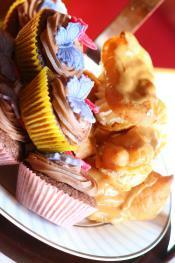 You will have access to a galley kitchen for tea & coffee and may take a tray to your room if you prefer. 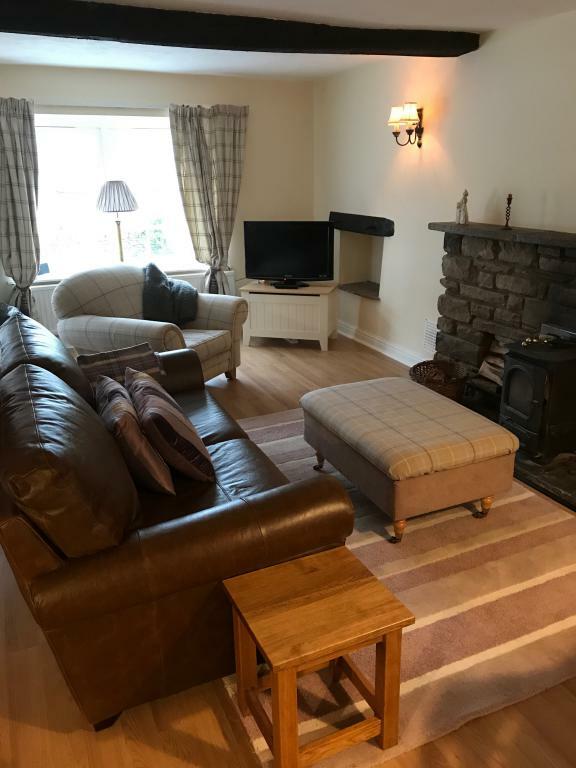 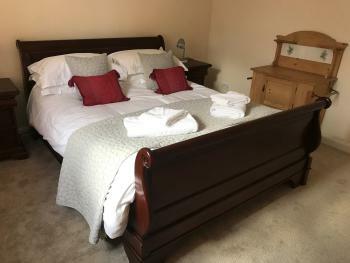 These two rooms, at either end of the castle, are our largest and there is plenty of room to swing a few cats, have a party of your own or house extra beds for children in both. 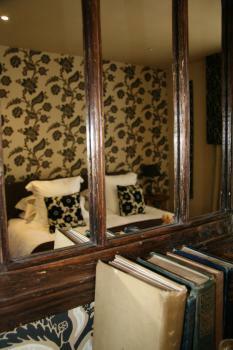 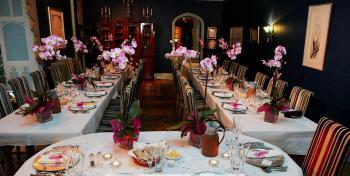 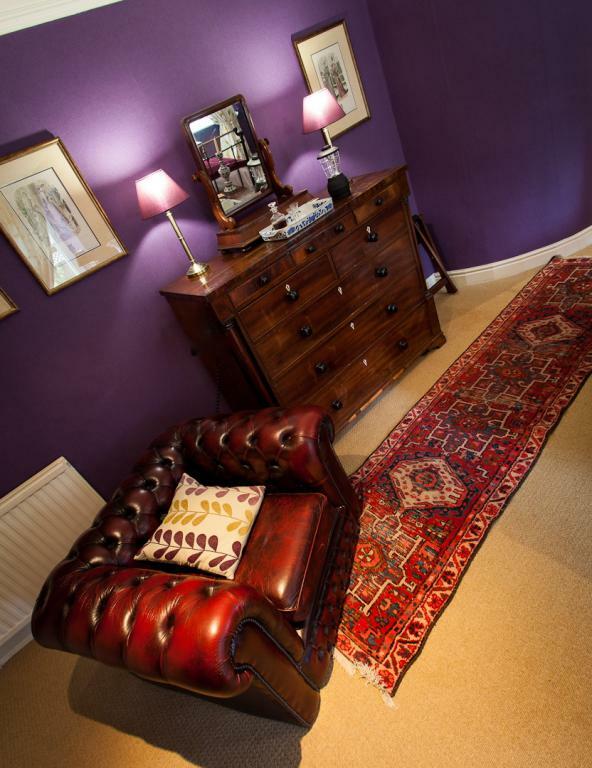 In Appleby, there is a leather sofa and Mahogany king sized bed, original watercolours and botanical prints. 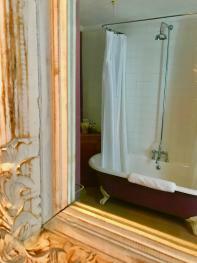 Four creaky old wooden steps lead down to the castle’s largest, panelled four poster bathroom. 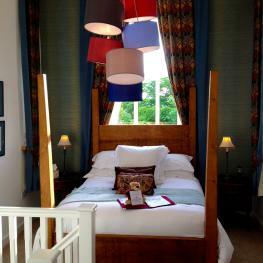 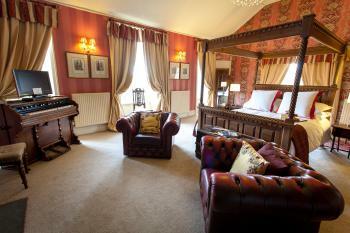 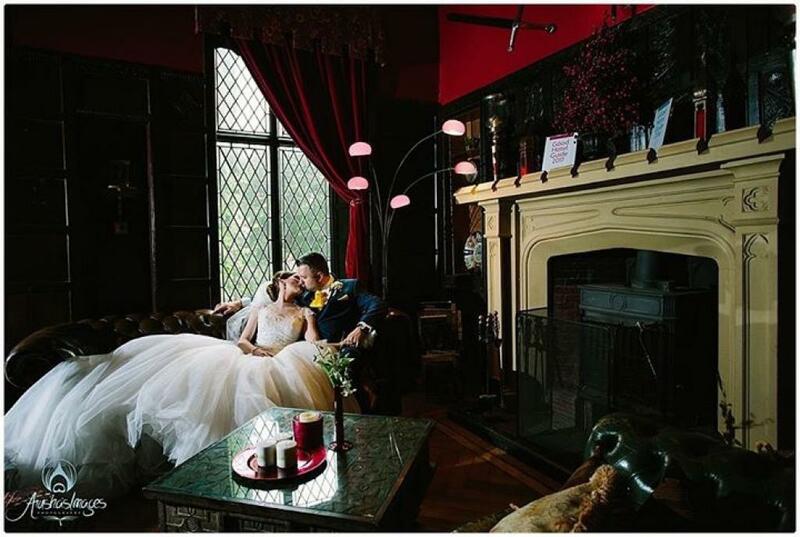 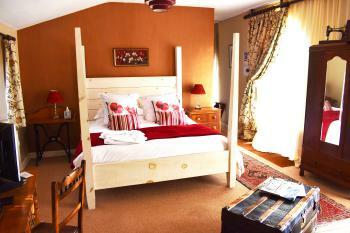 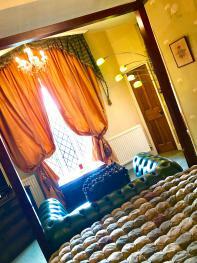 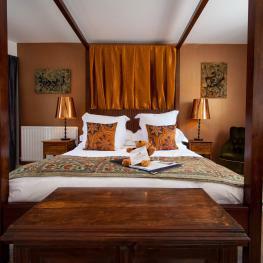 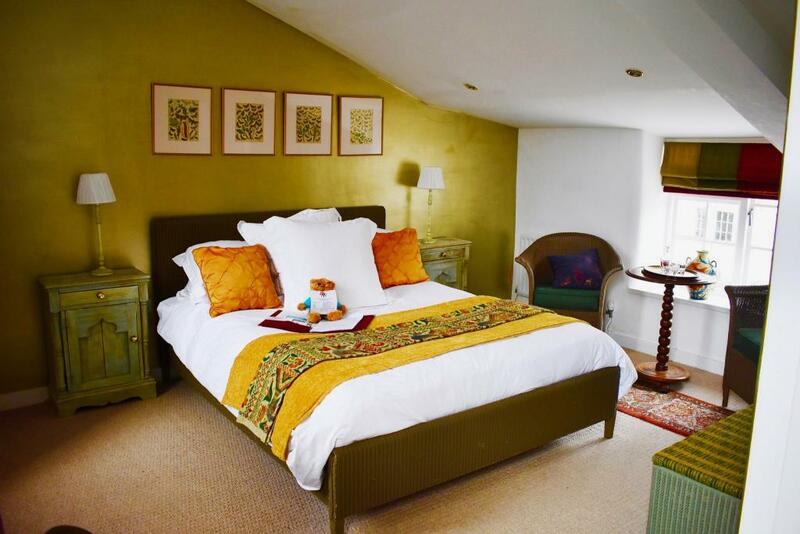 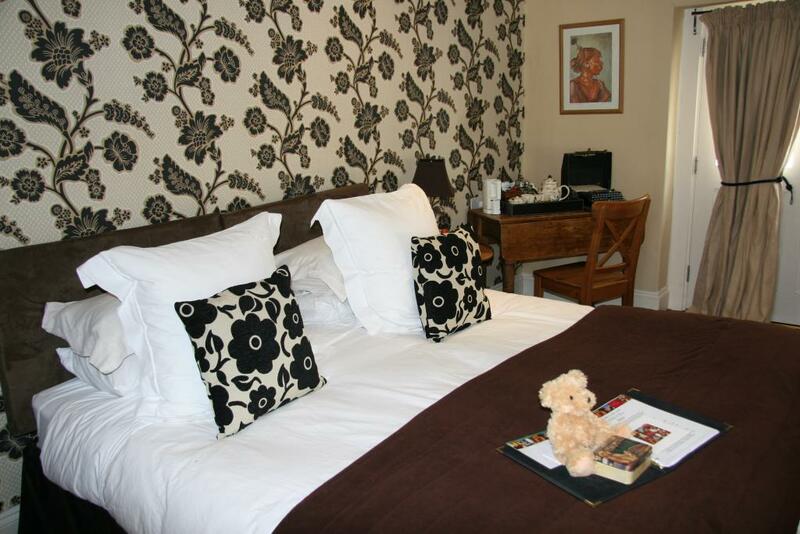 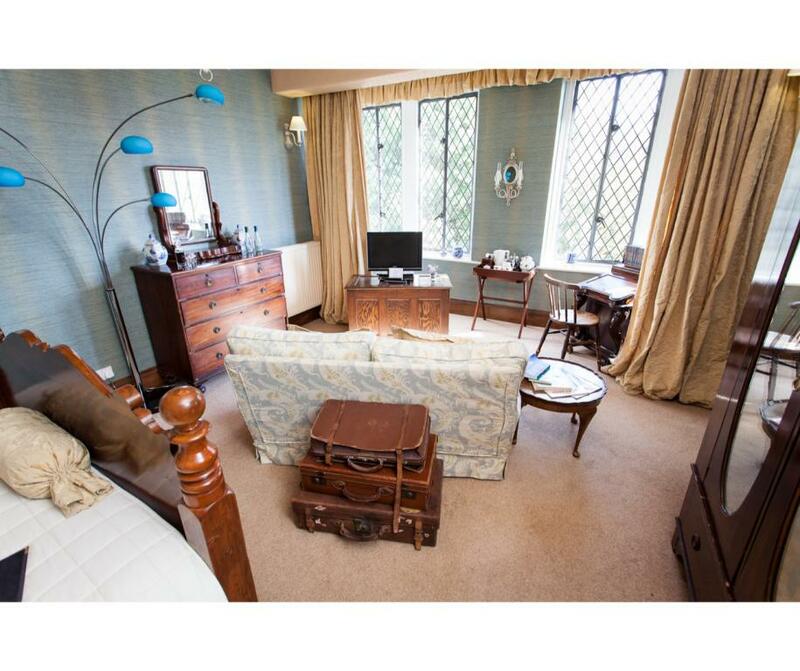 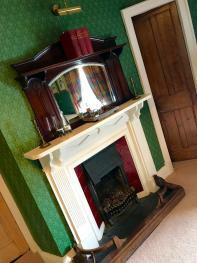 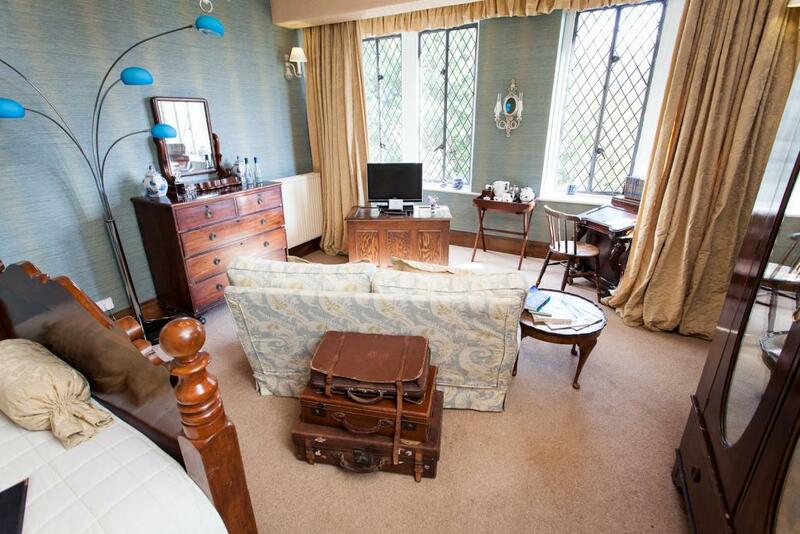 In Pendragon, arched leaded windows and red & gold four poster bed in the centre of the room. 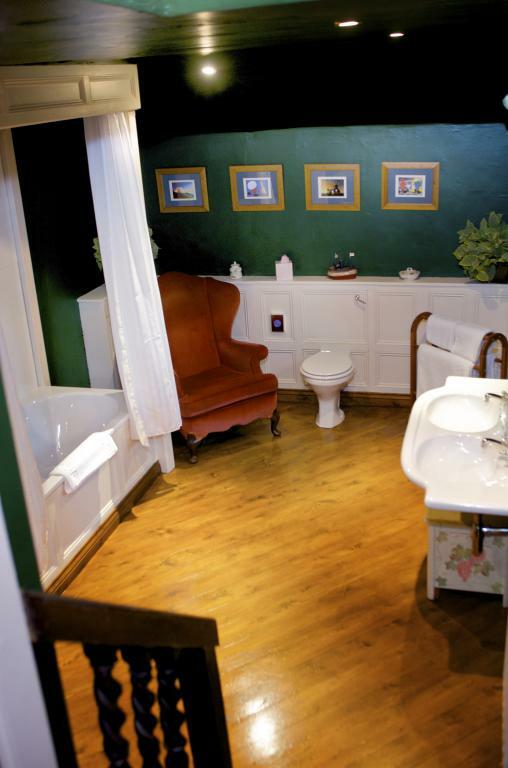 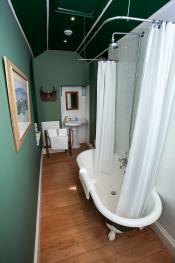 Steps lead down to the dark green bathroom with a Victorian cast iron claw footed bath and stained glass windows. 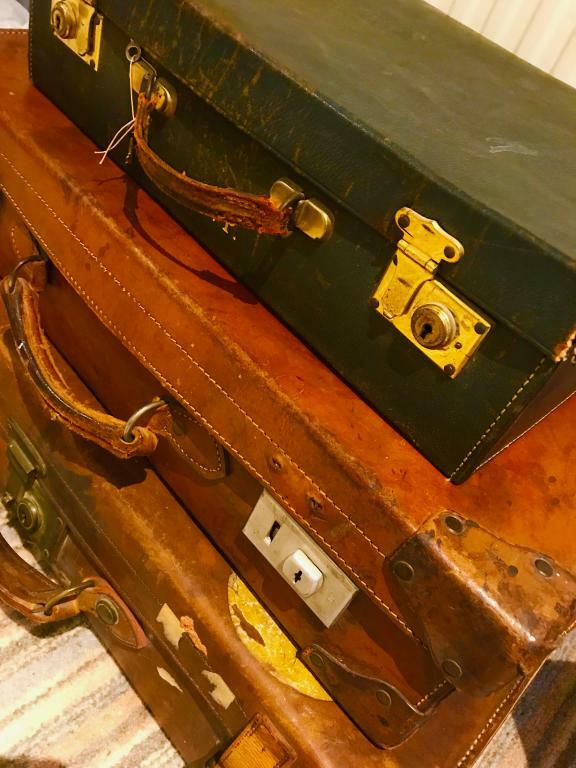 Requests can be made for a particular room but we reserve the ability to move you between these rooms to accommodate other guests. You will have access to a galley kitchen for tea & coffee and may take a tray to your room if you prefer. 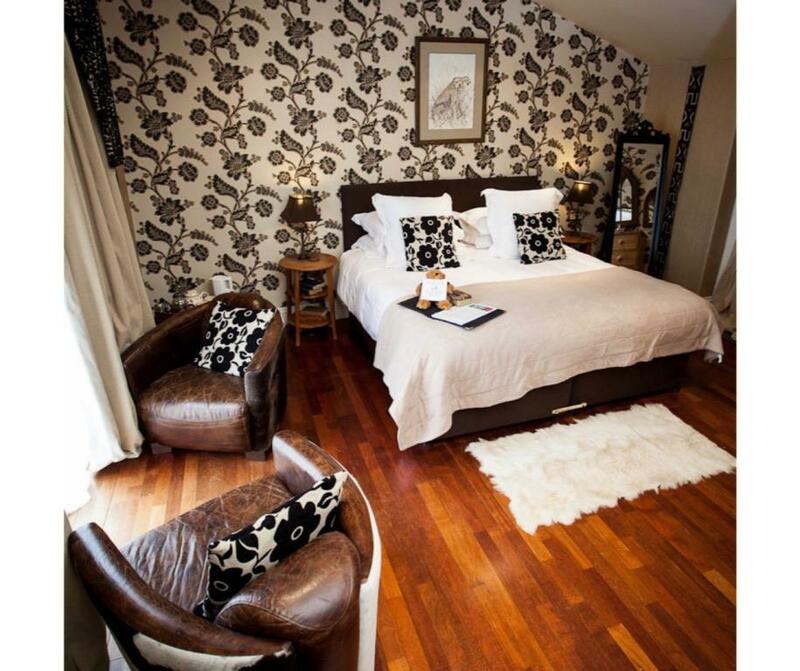 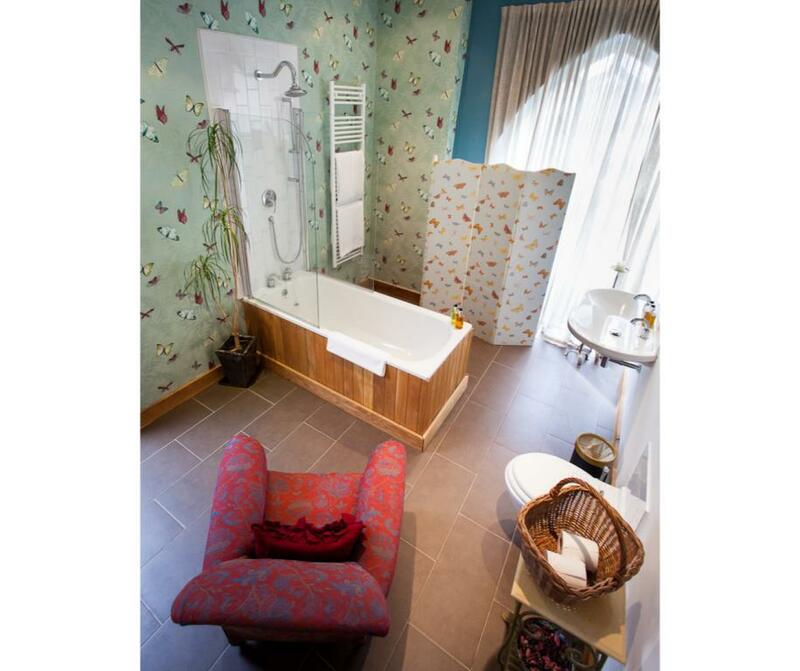 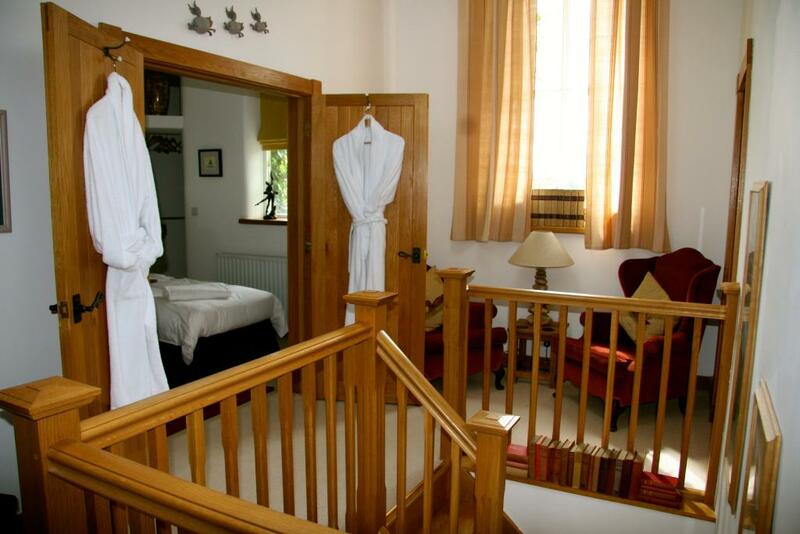 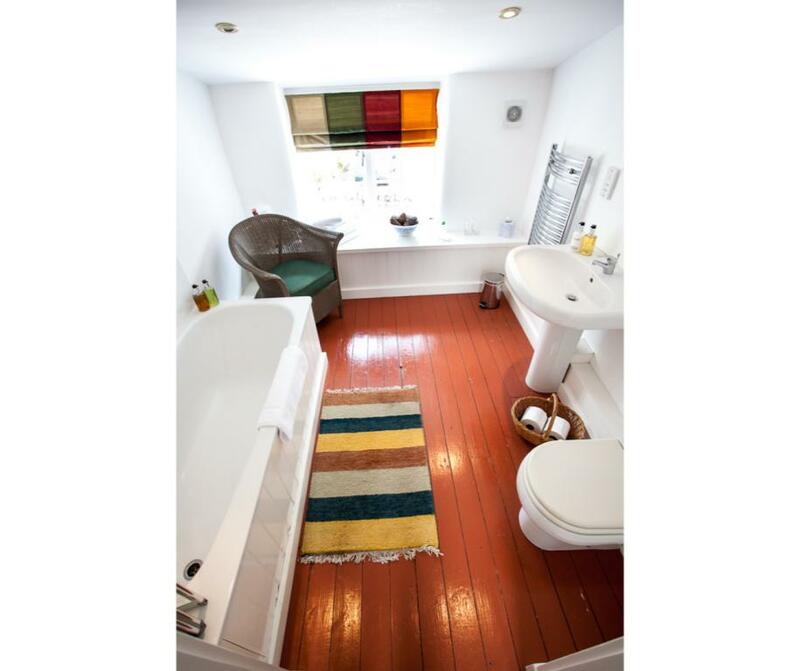 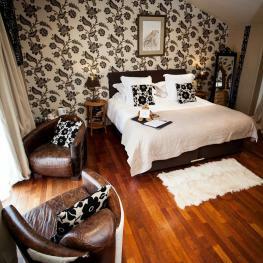 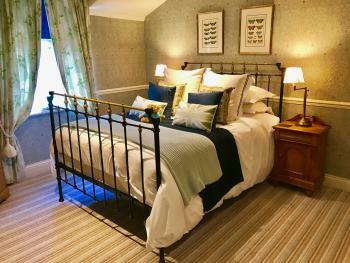 A wonderful suite over two floors in the converted stable block. 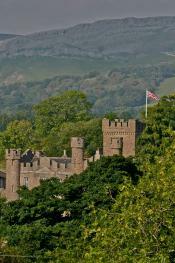 Turrets, castellations and a spectacular view towards Brough Castle. 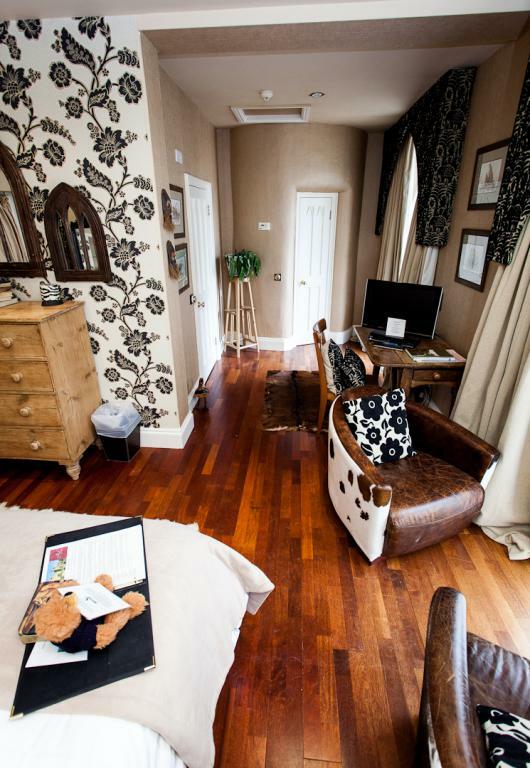 Ground floor : lovely light day room with double sofa bed opening onto a private garden. 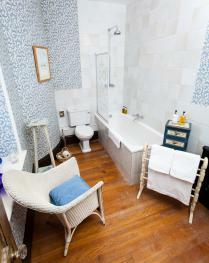 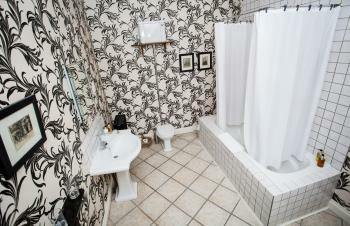 First floor : bathroom and king four poster. These are two family suites of rooms, one on the ground floor and one upstairs. 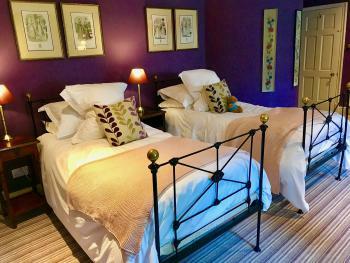 Standard rates for these rooms are based on two adults & 2 children under 12 years - please note if you are 4 adults the rate will be £320 per night including breakfast : DERWENT is a first floor permanent with two single antique brass beds (sleeps 2 adults or 2 children) in the North Wing, a huge room decorated in regal purple with poetry on the ceiling. 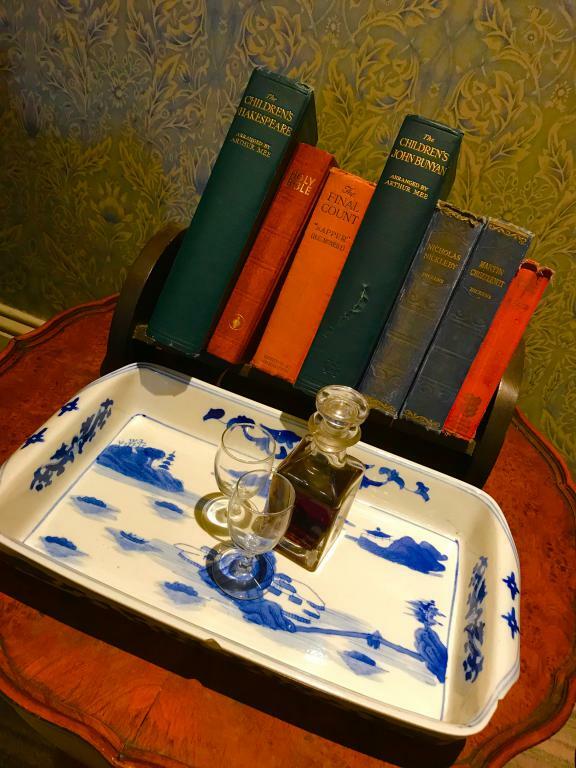 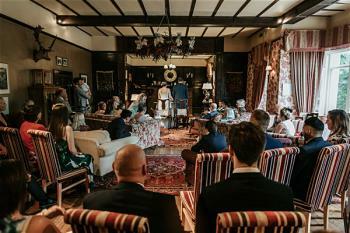 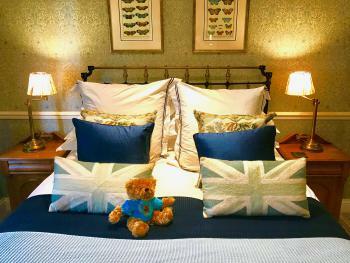 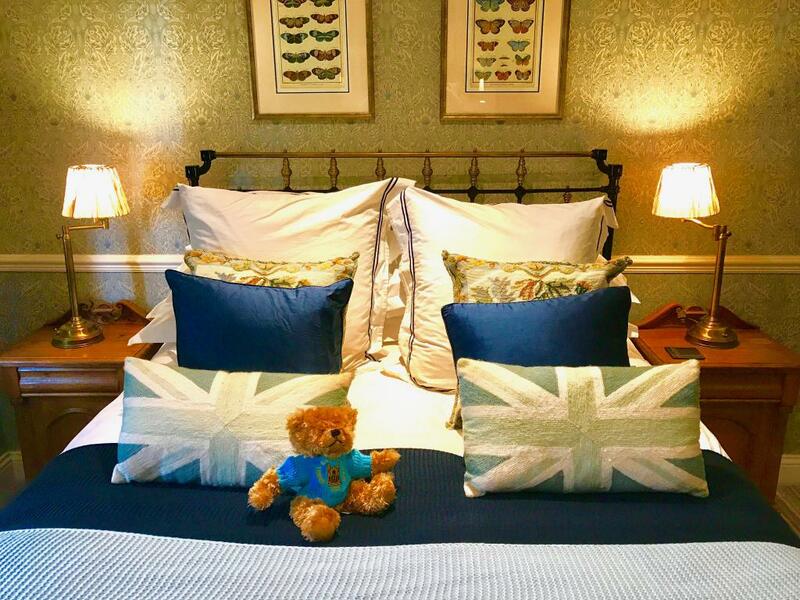 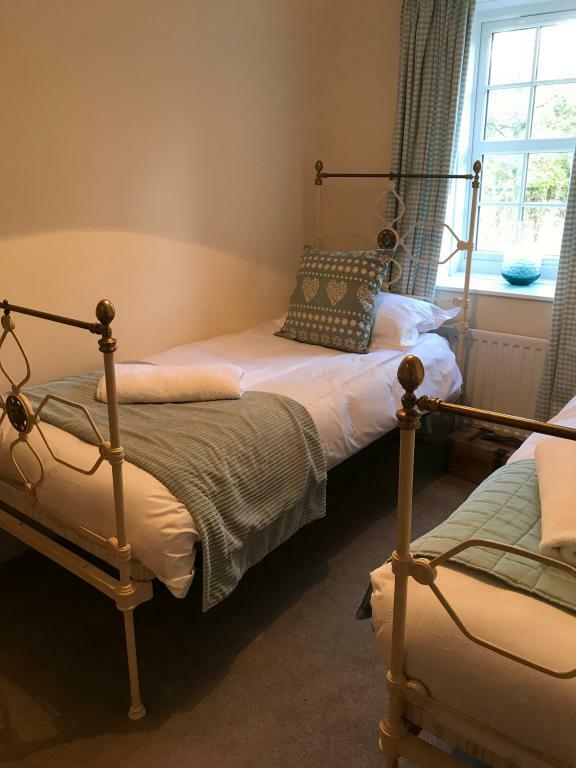 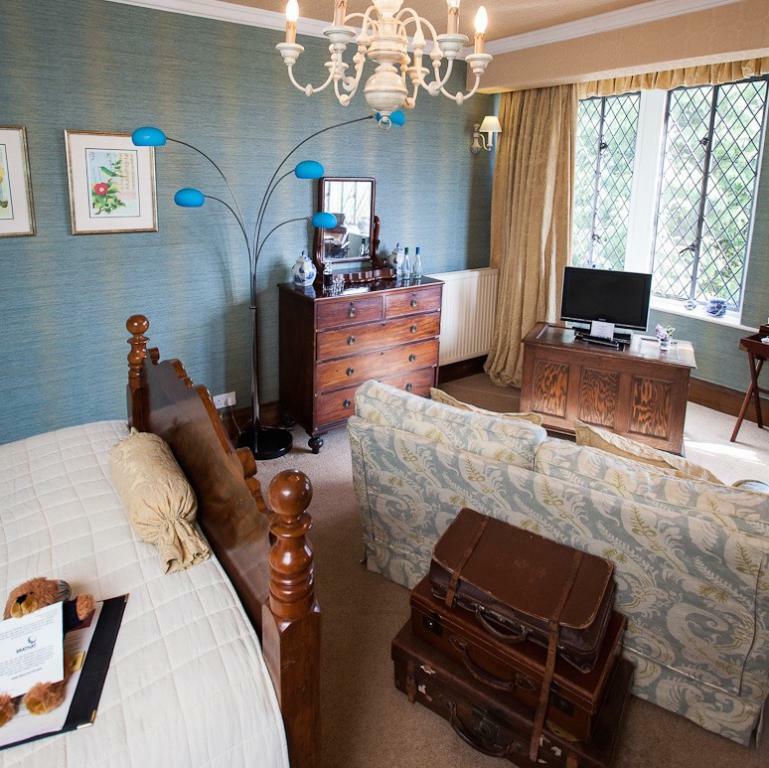 It inter-connects with RAISBECK which has a king antique brass bed and fabulous blue William Morris wallpaper with butterflies. 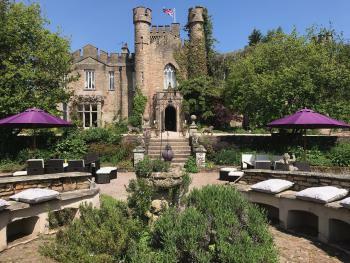 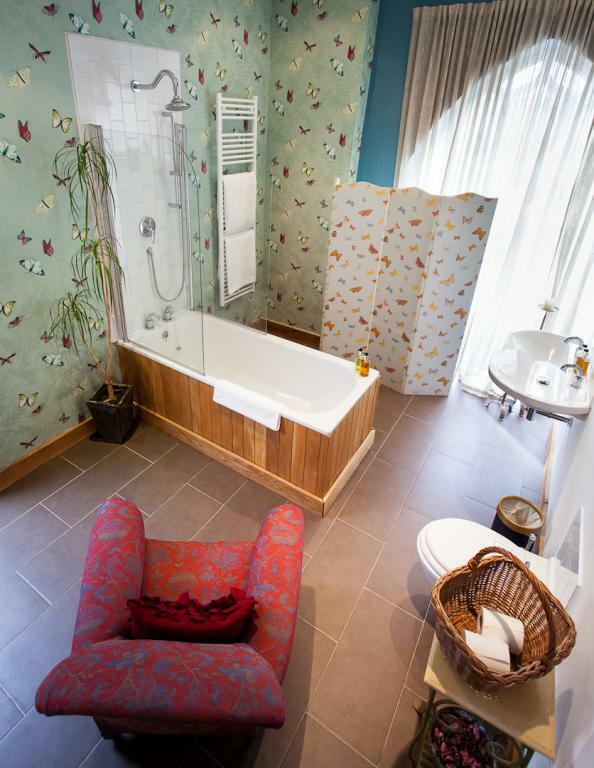 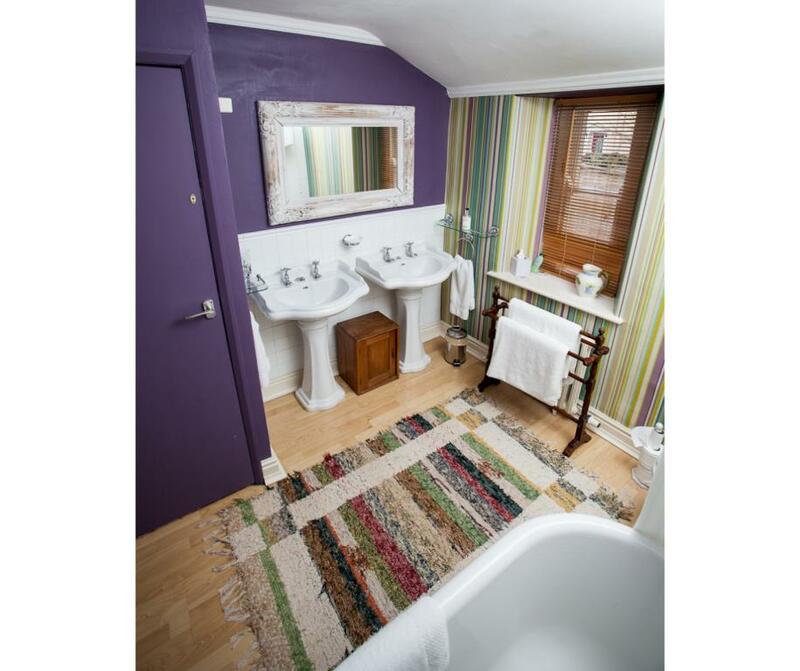 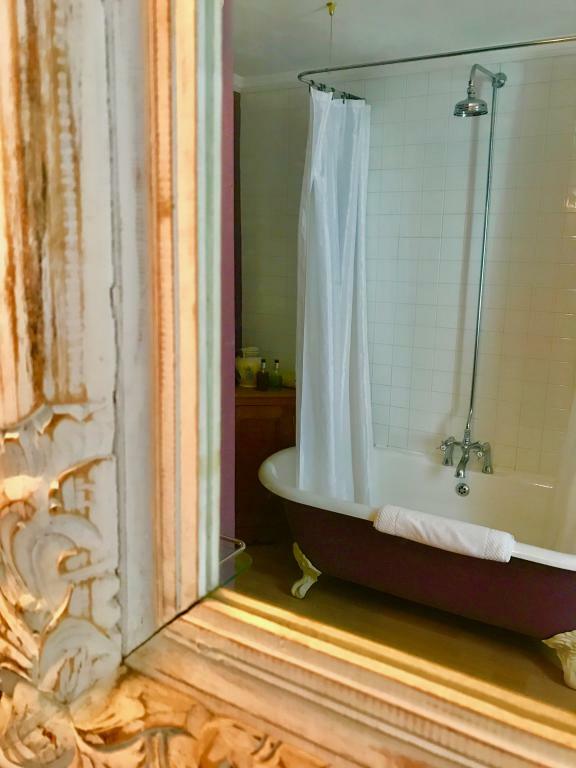 This suite of rooms share a beautiful bathroom with a claw footed bath and double basins The ORANGERY is on the ground floor outside the main castle, with huge arched gothic windows opening onto your own secluded garden and the castle gardens beyond. 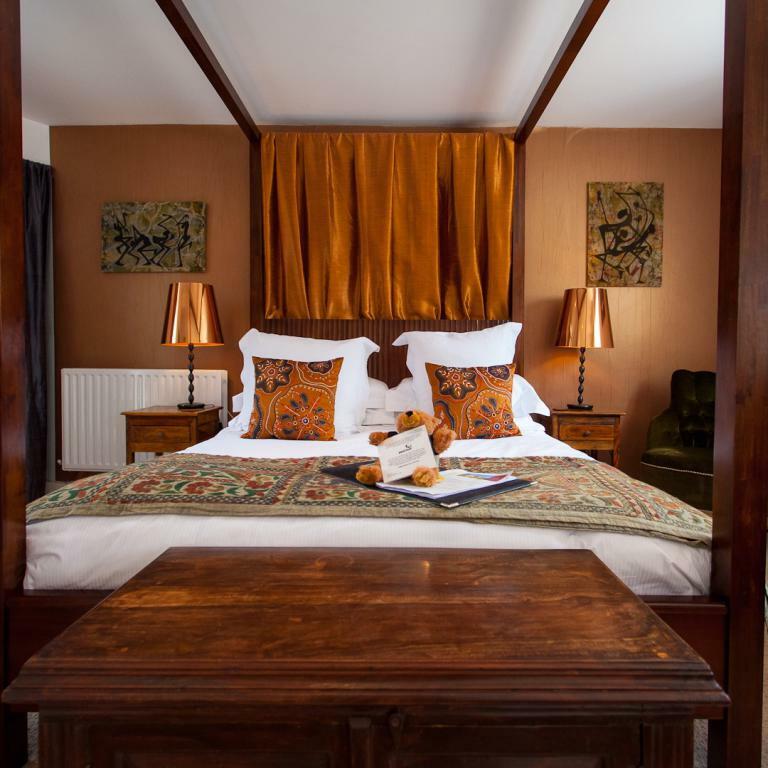 There is a modern open top four poster bed, stunning bronze wall and fabulous contemporary bathroom, and a connecting day room has a French style metal day bed which opens as two full sized singles. 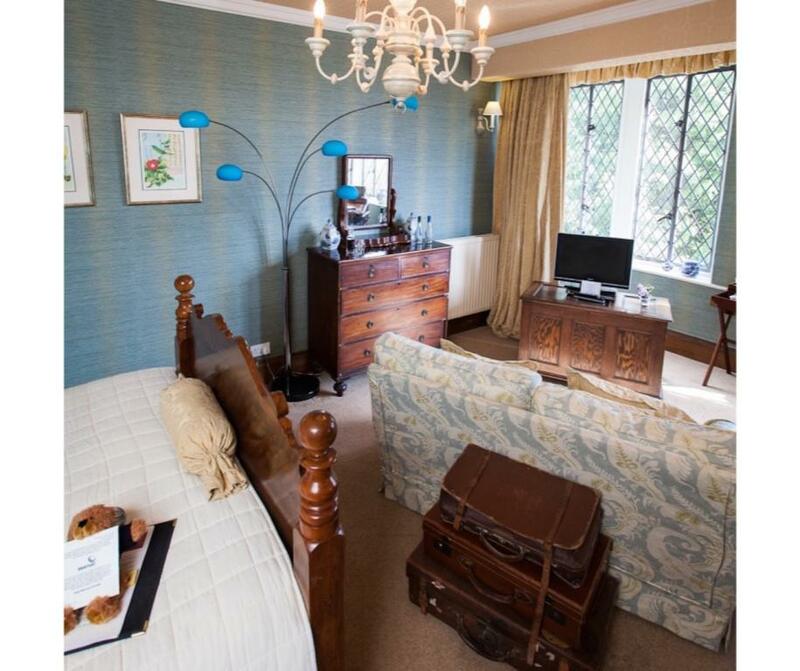 Requests can be made for a particular room but we reserve the ability to move you between these rooms to accommodate other guests. 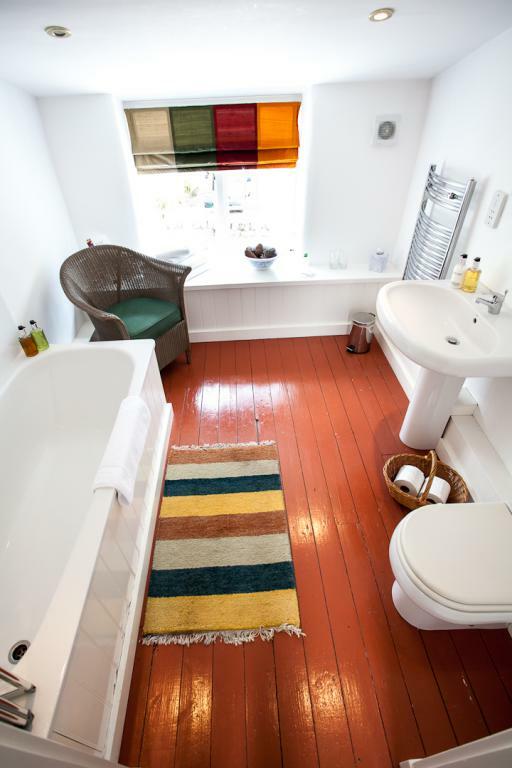 You will have access to a galley kitchen for tea & coffee and may take a tray to your room if you prefer. 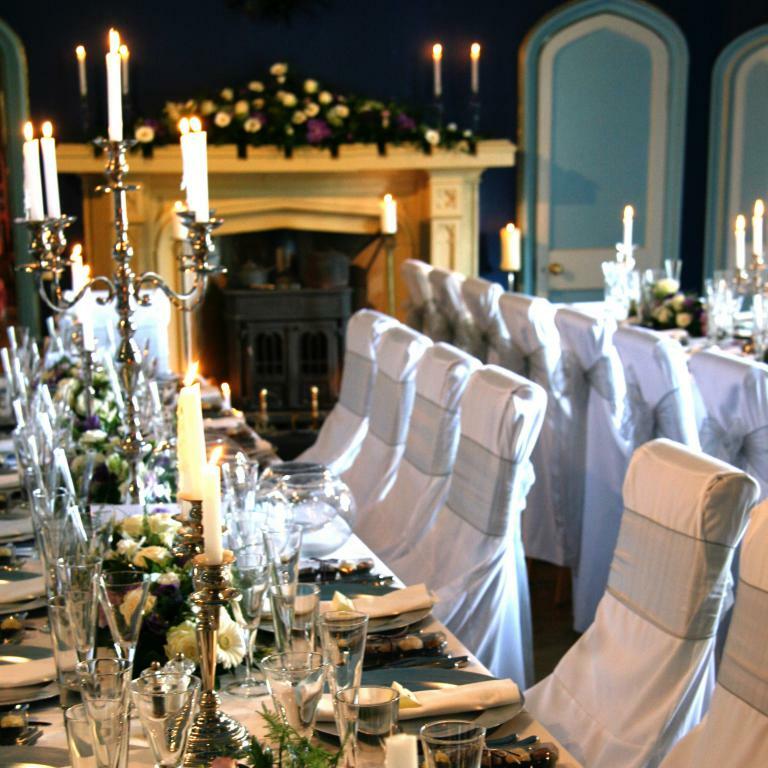 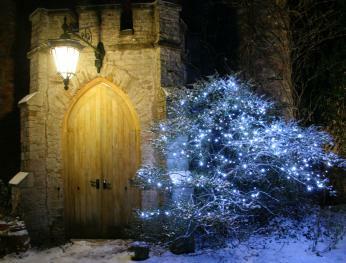 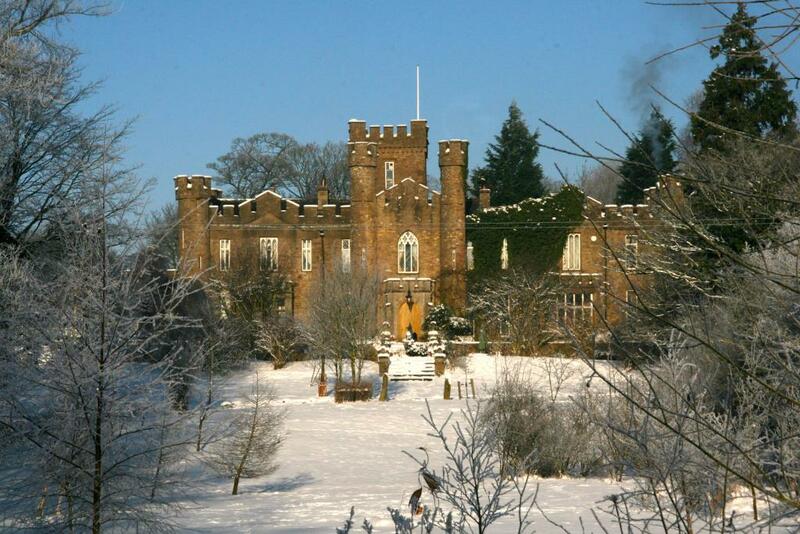 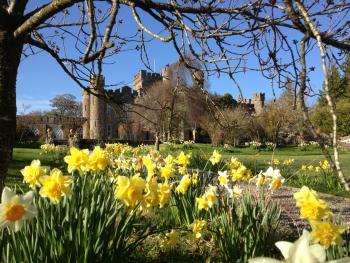 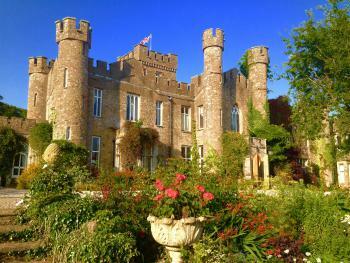 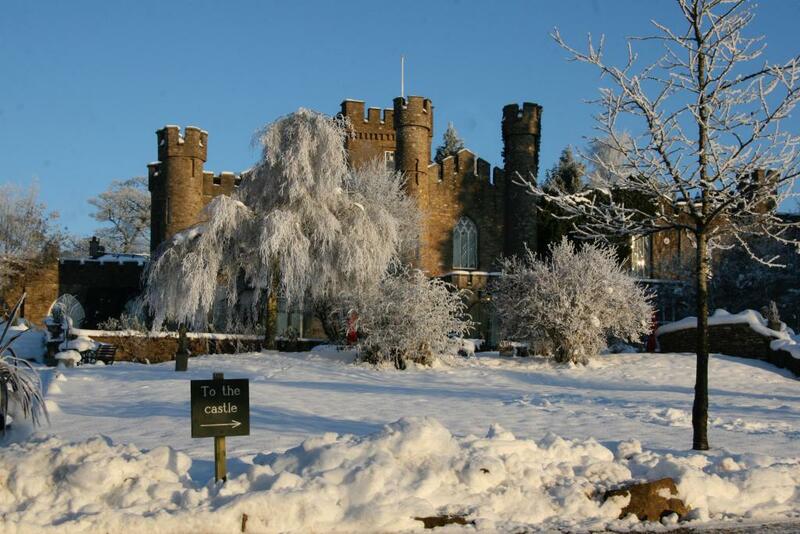 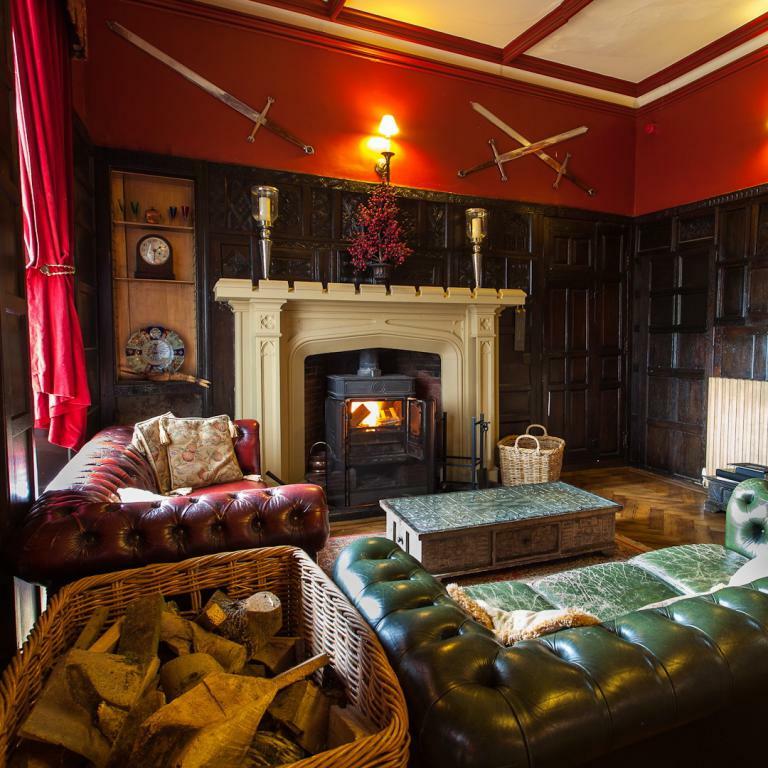 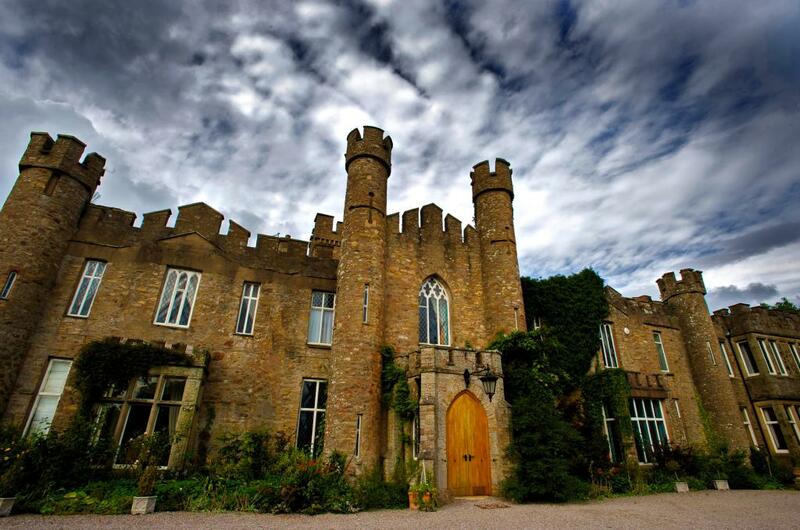 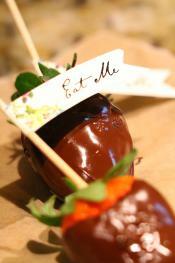 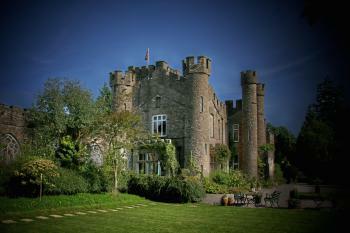 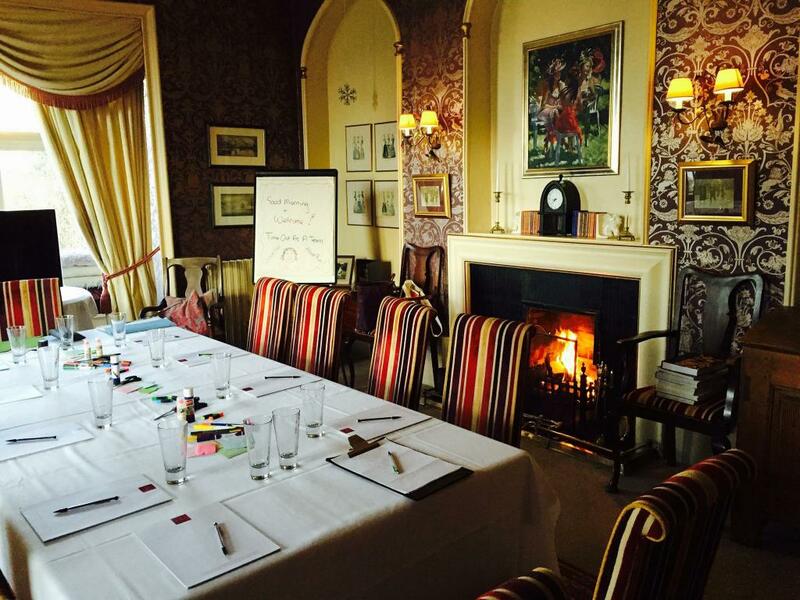 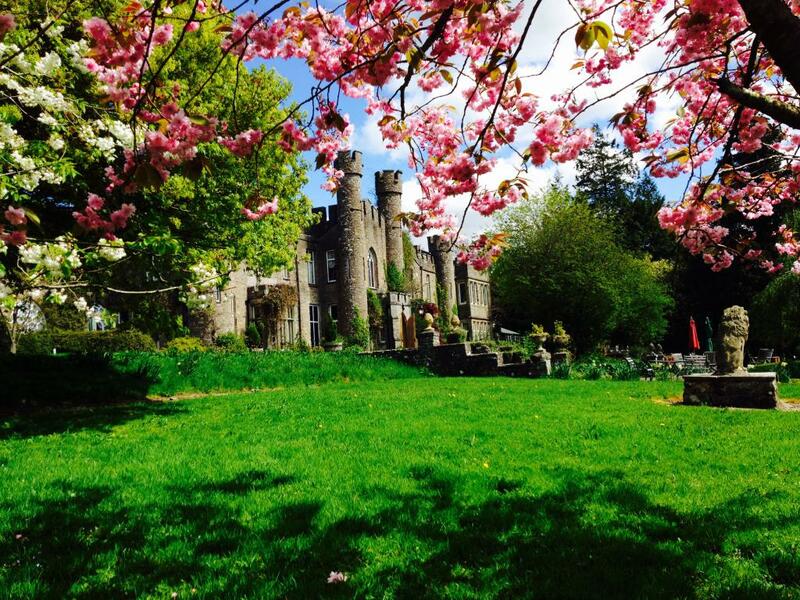 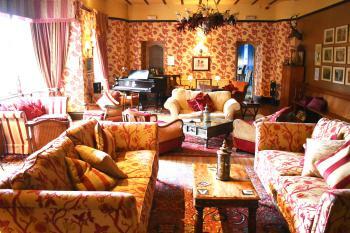 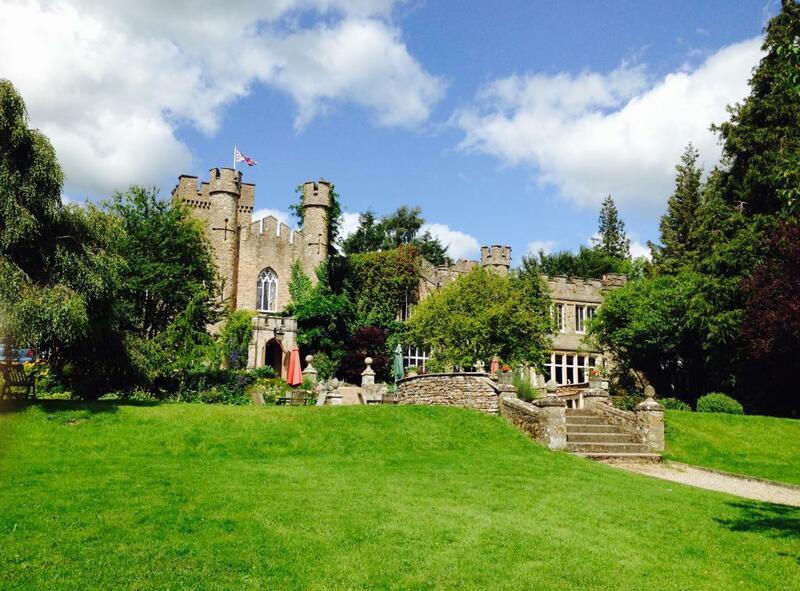 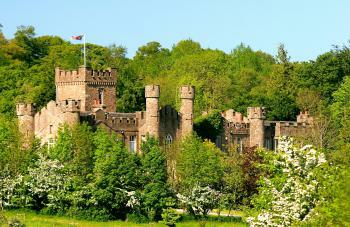 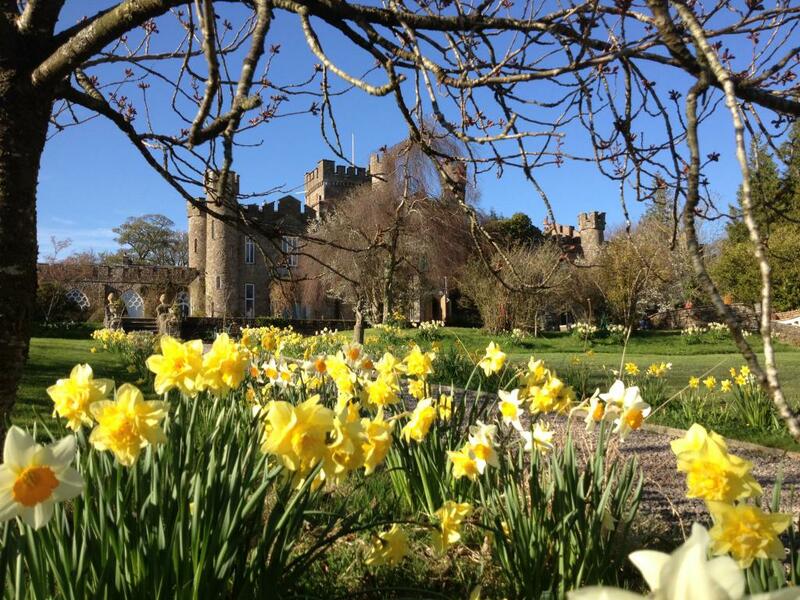 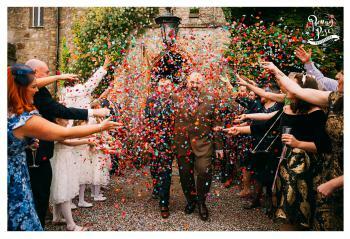 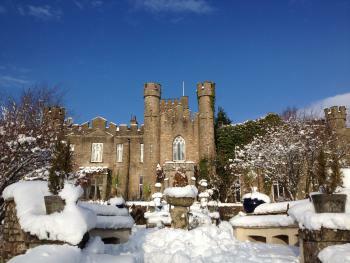 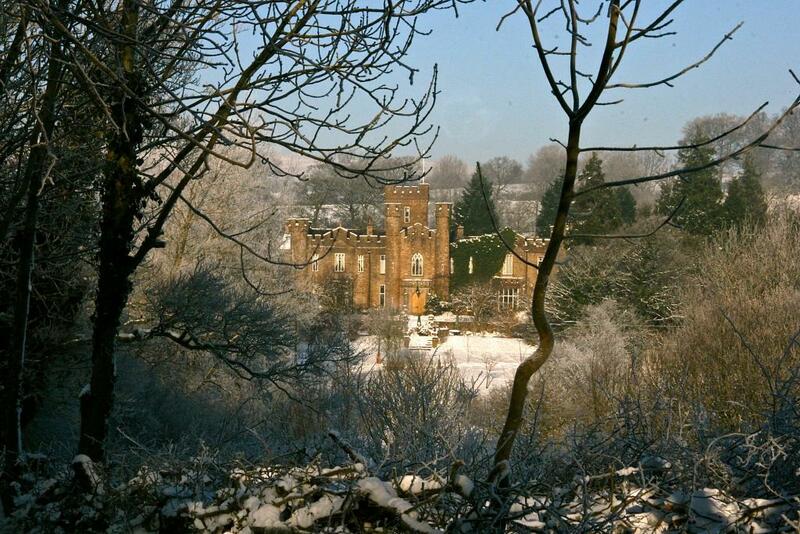 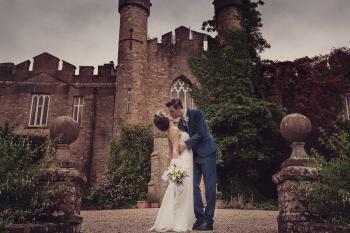 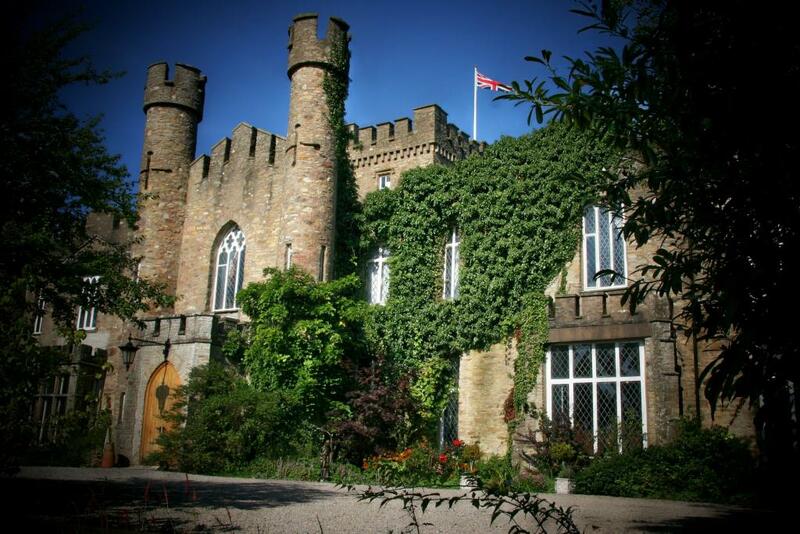 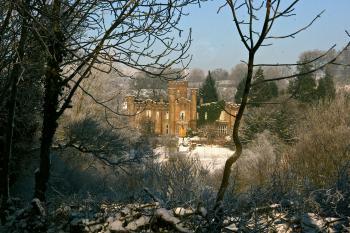 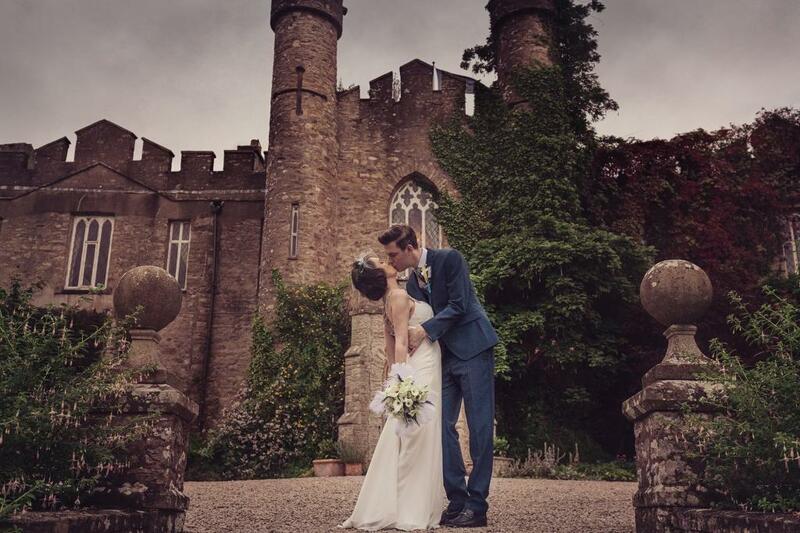 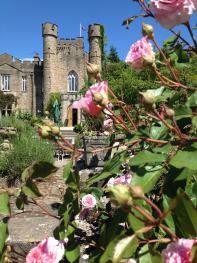 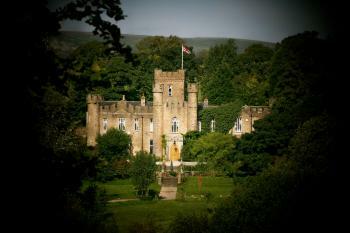 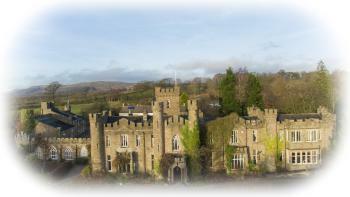 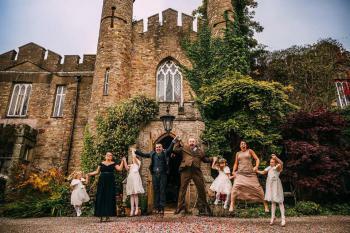 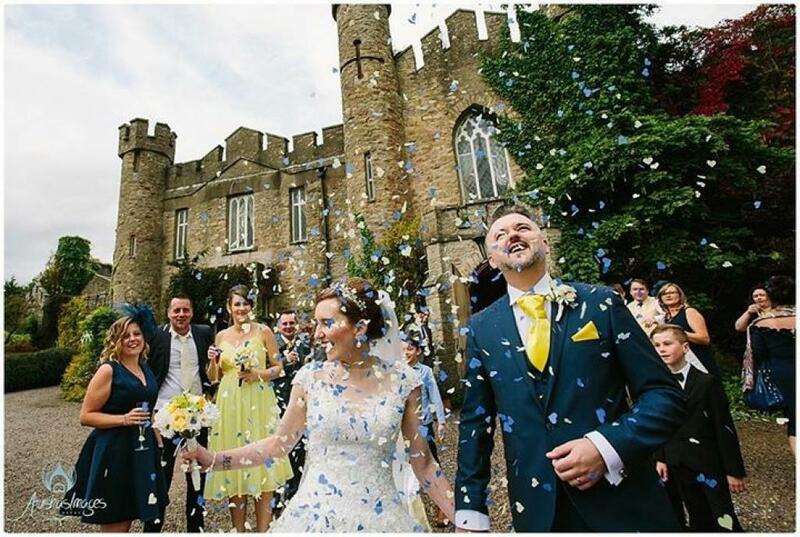 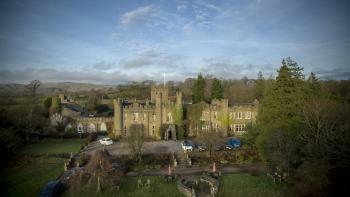 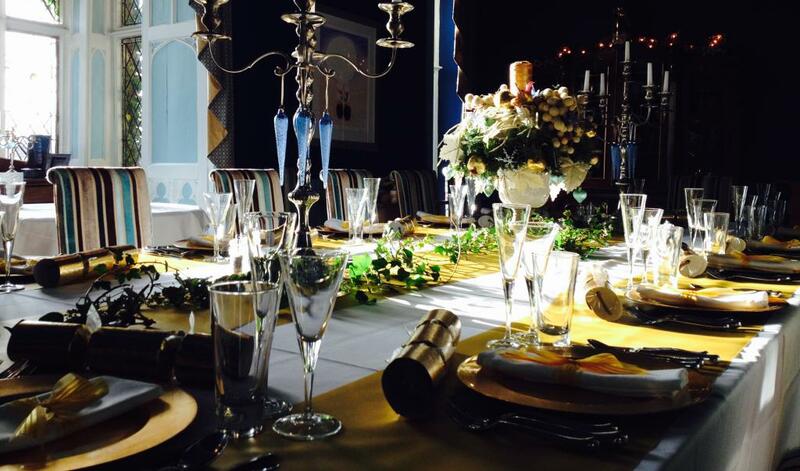 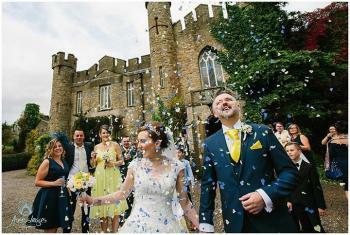 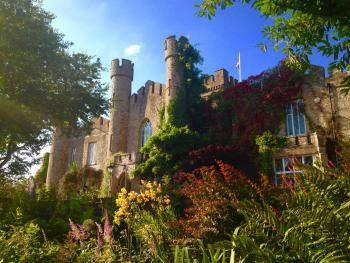 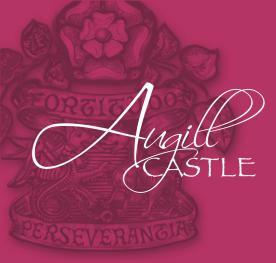 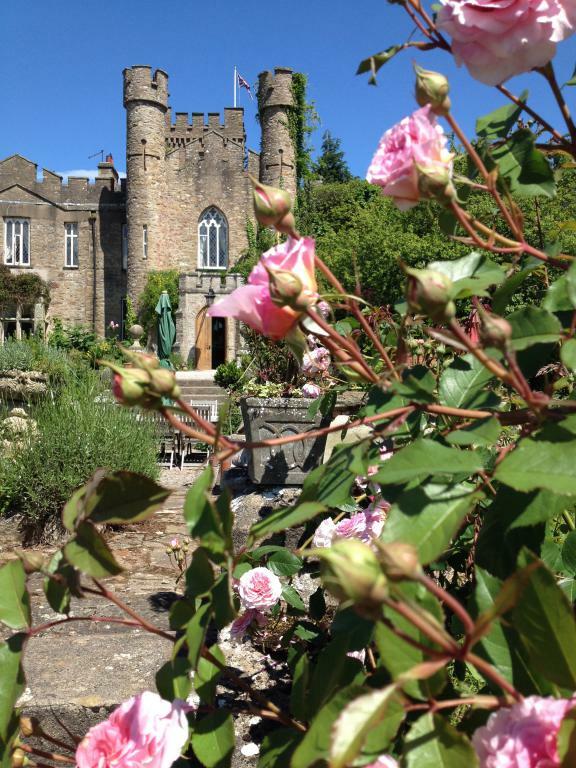 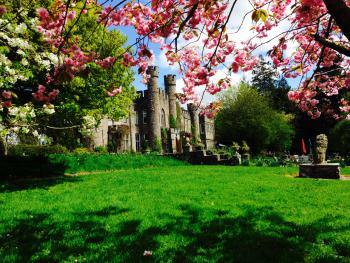 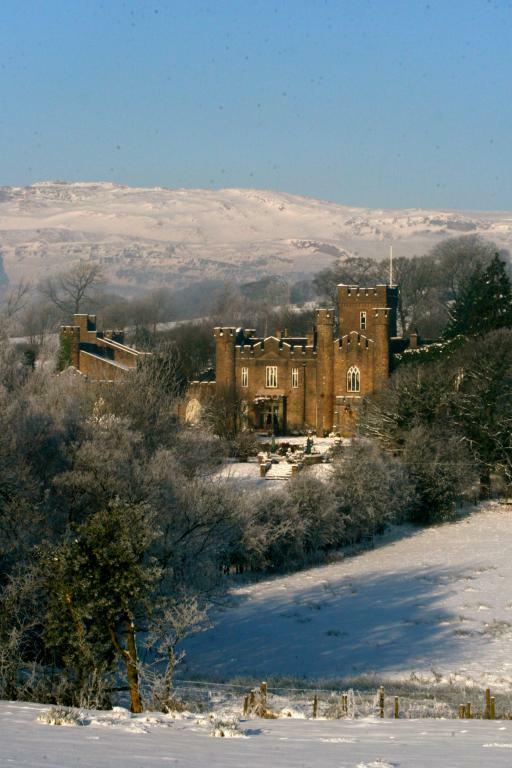 Augill Castle is a relaxed place to stay in a truly extravagant Victorian Gothic building. 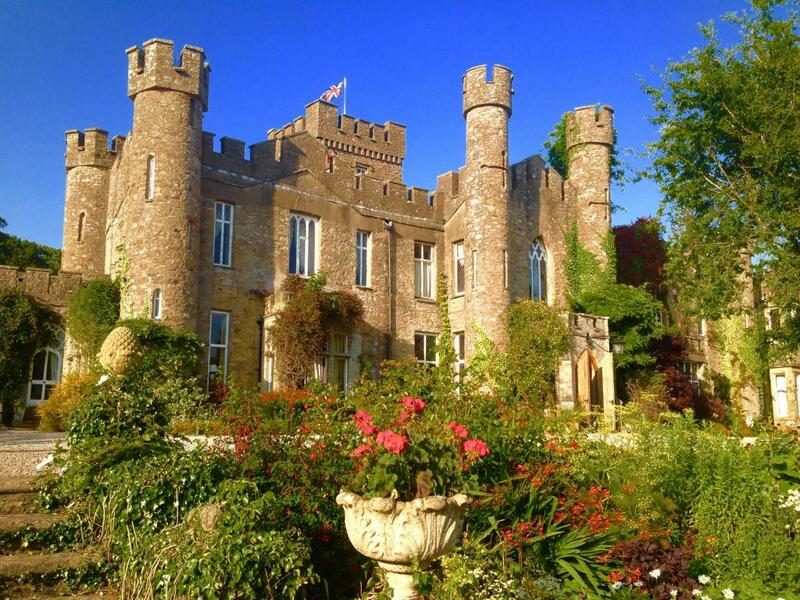 With turrets, castellations, vaulted ceilings, huge rooms, stately fireplaces and wonderful wooden floors, the castle was built to impress. 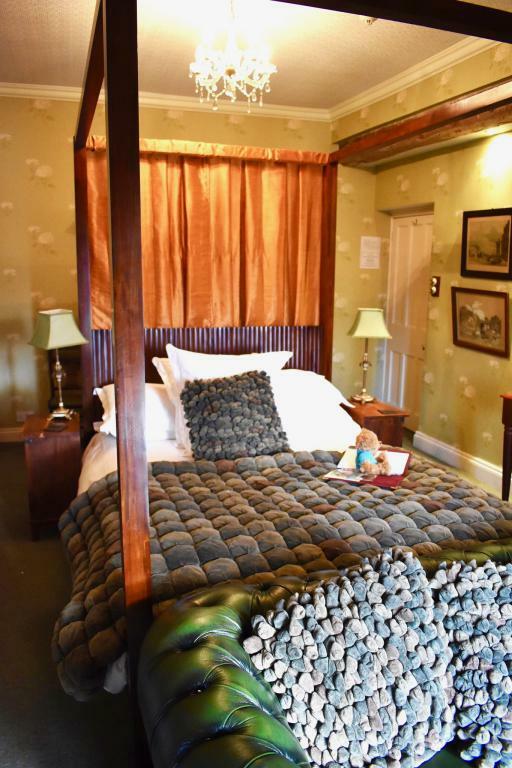 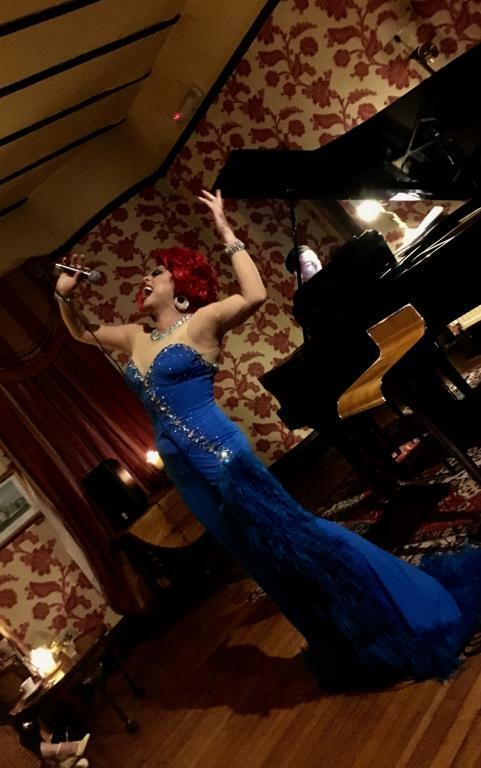 Bedrooms are huge, as are most of our bathrooms and you will find four poster beds, four poster baths, grand pianos, floor to ceiling arched windows, stained glass, Elizabethan panelling and other lovely features. 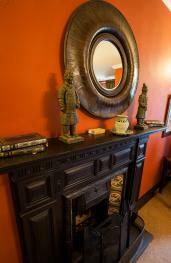 There are two beautiful sitting rooms and an honesty bar too. 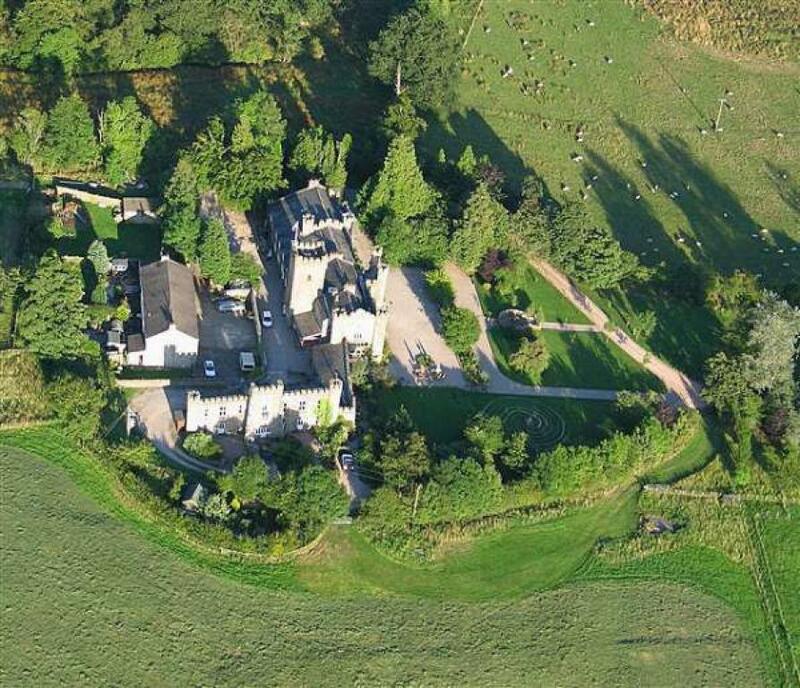 15 acres of grounds include a tennis court. 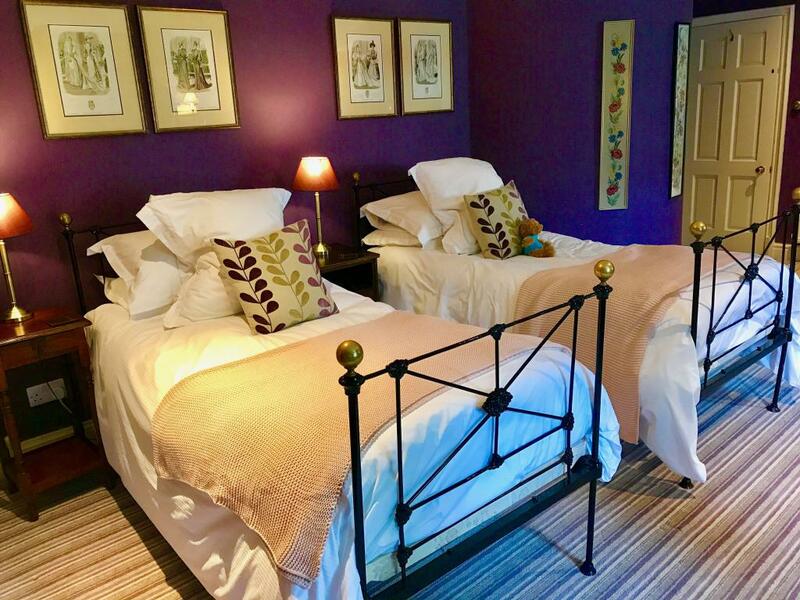 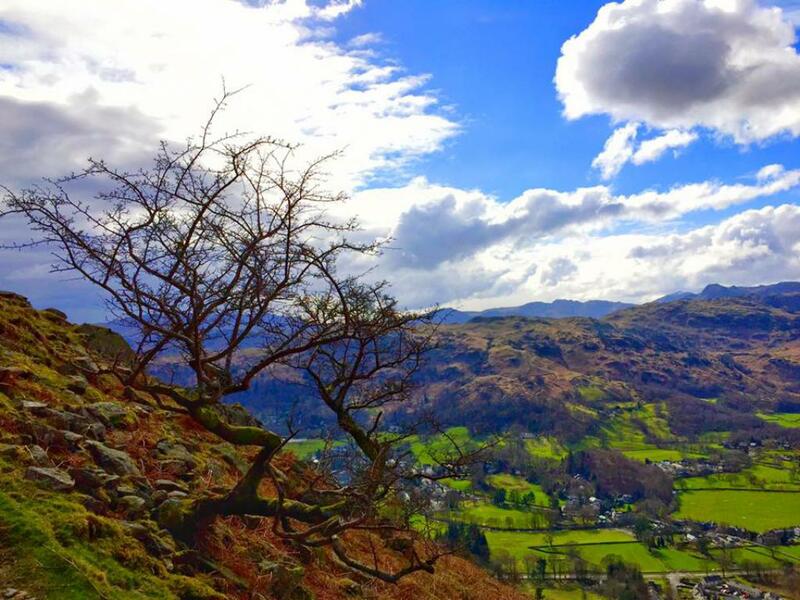 And set at the foot of the Pennines, surrounded by the Lakeland Fells and Yorkshire Dales, Augill certainly has a pretty setting. 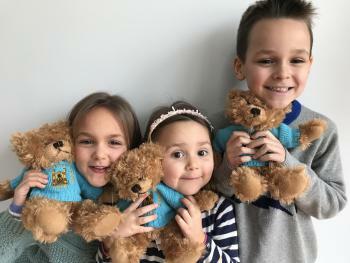 Rescued from near ruin by the Bennett family in 1998, it is run with genuine warmth and friendliness and is a wonderful place to spend time with loved ones. 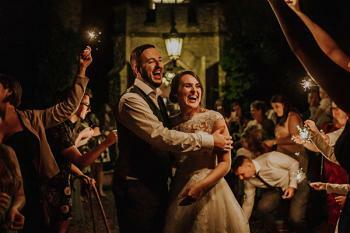 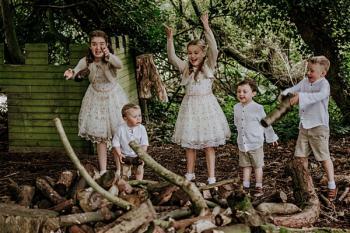 The Bennett's run the castle in an informal style so that you are not staying in a room, but more sharing a whole castle. 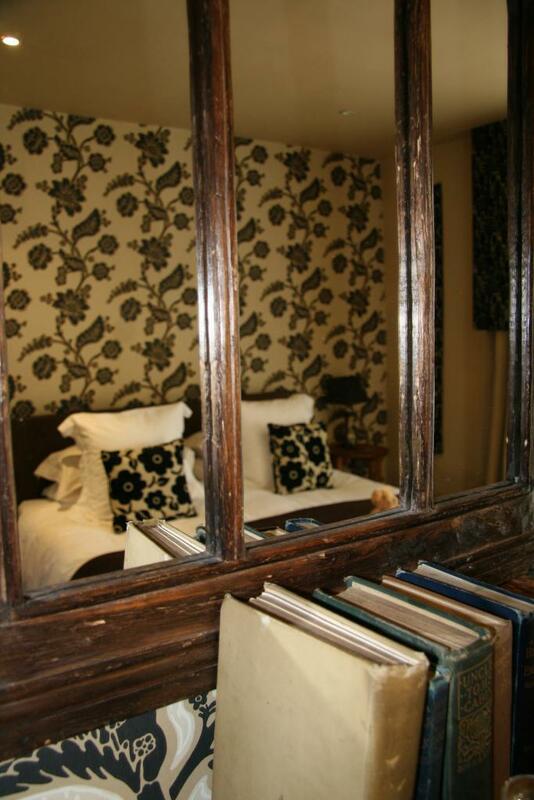 We have our guest room file available in Braille. 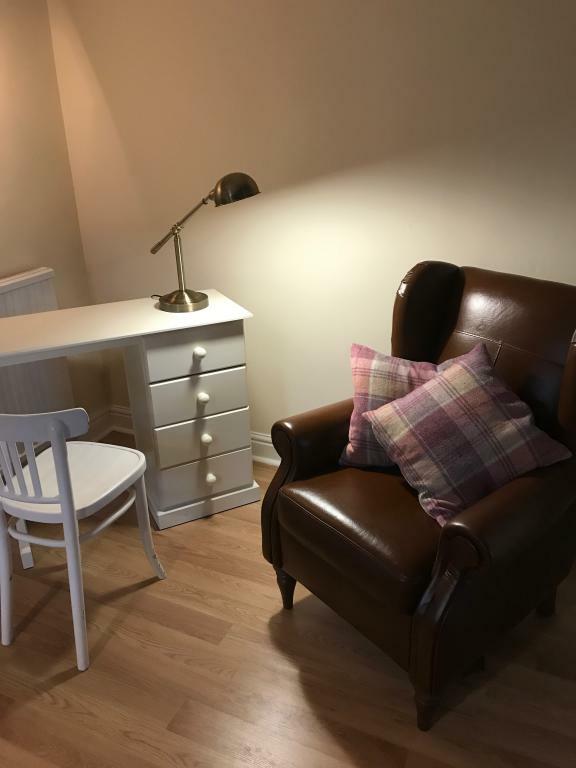 We have one ground floor en-suite bedroom which is accessible. 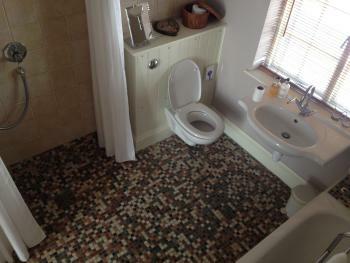 We have a ground floor disabled toilet. 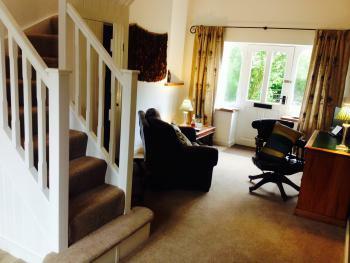 We have just two steps on the ground floor and can provide ramps or assistance where required. 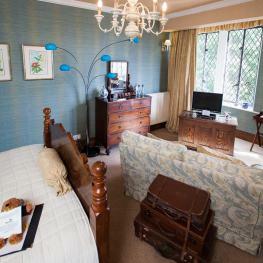 The televisions in each bedroom are capable of displaying subtitles. 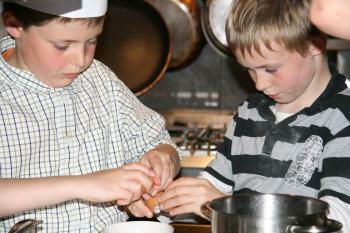 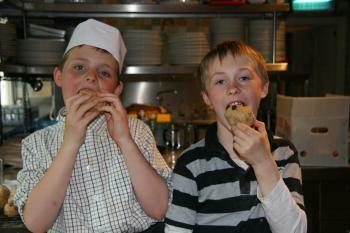 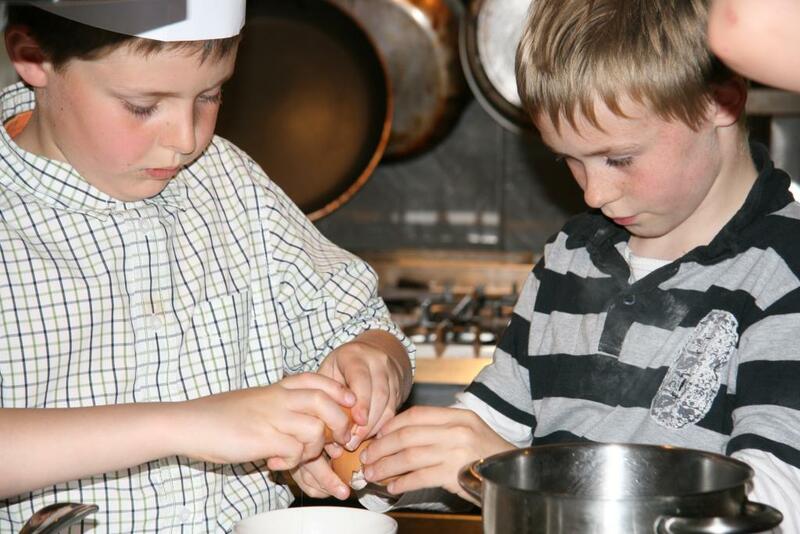 Our staff are always on hand to help in any way. 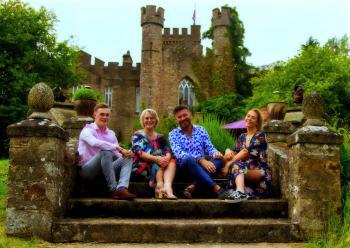 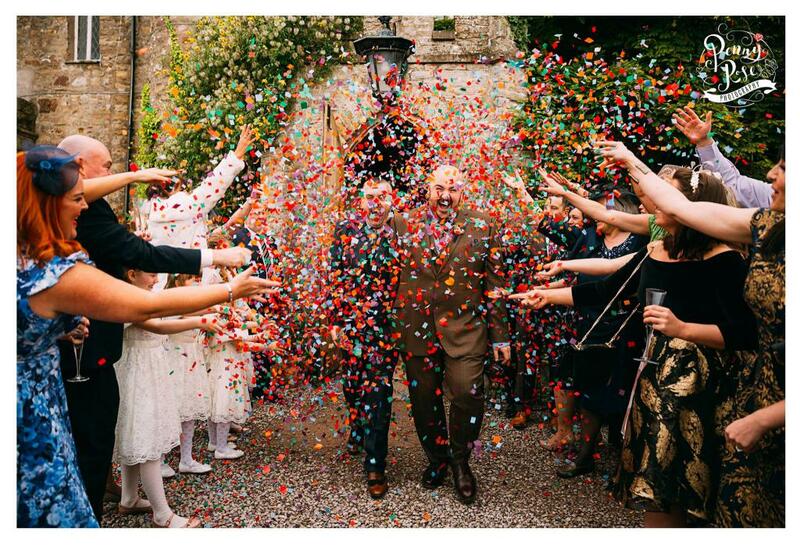 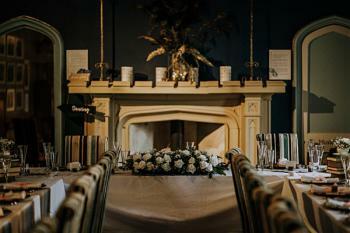 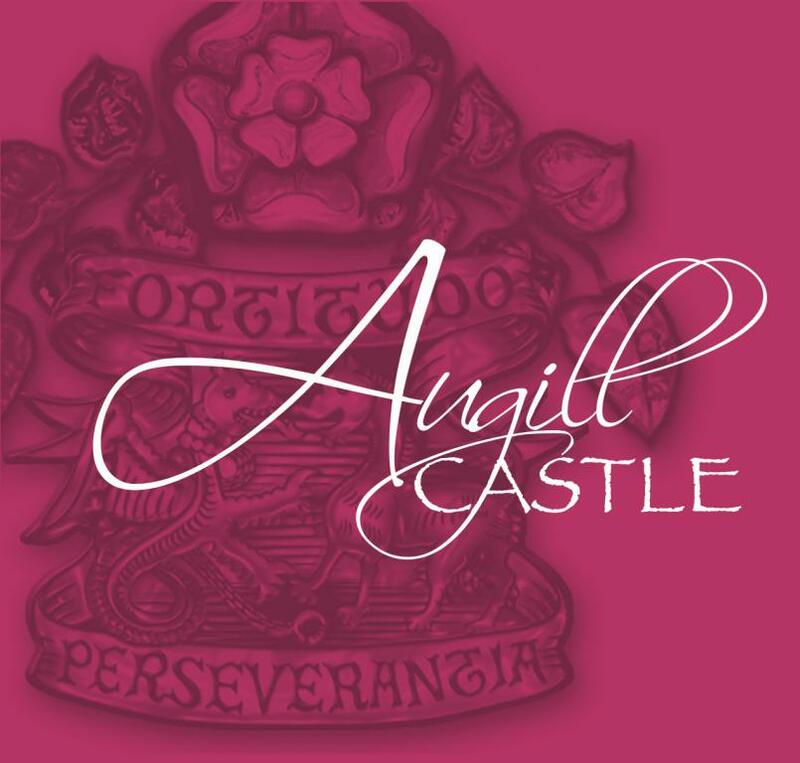 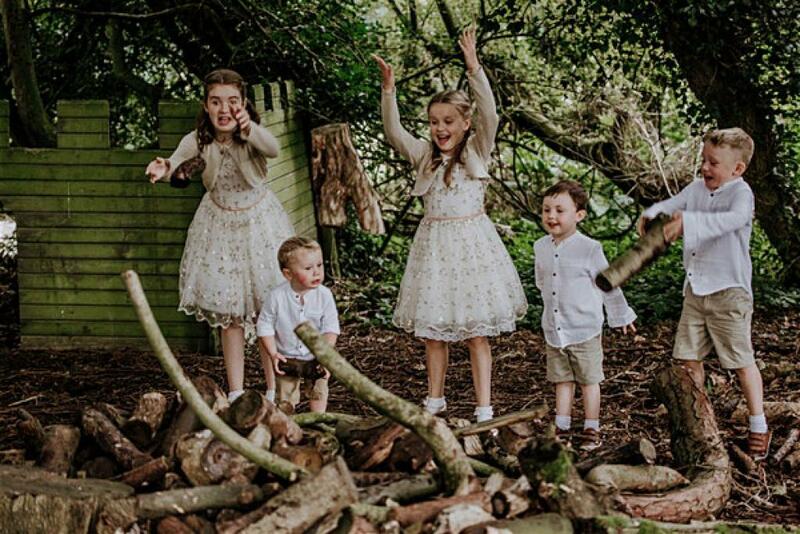 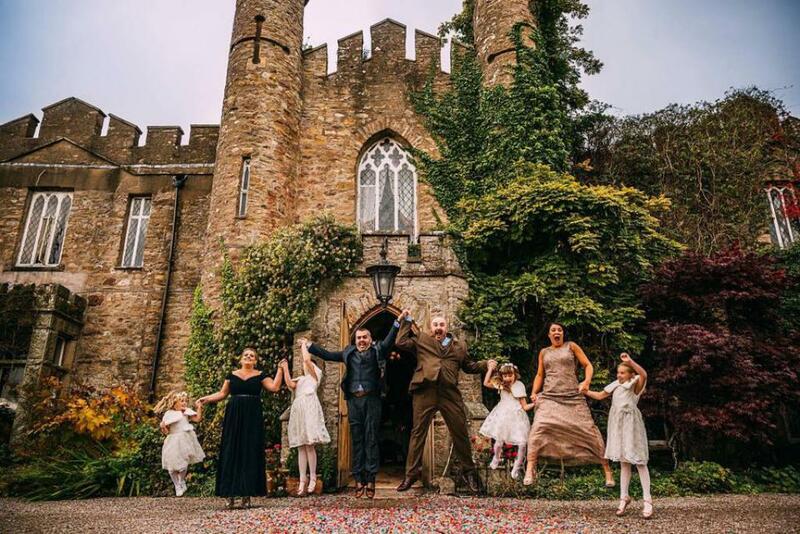 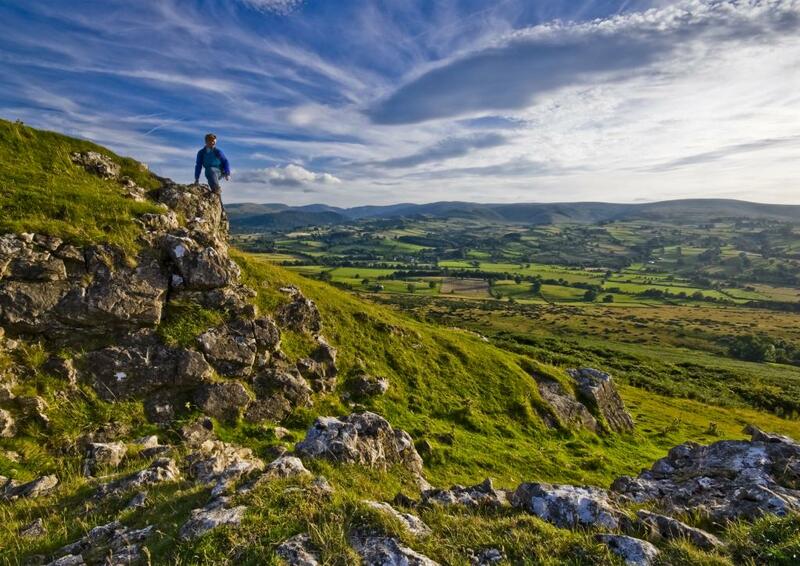 Augill Castle is at the geographical centre of the British Isles, four miles outside the small market town of Kirkby Stephen, two hours drive from Manchester & Leeds, an hour from Lancaster, York & Newcastle. We are at OS grid reference NY806138, Longitude 2'18" W Latitude 52' 31" N. Our postcode is CA17 4DE which most satnavs will recognise as being on the road just short of our driveway entrance. 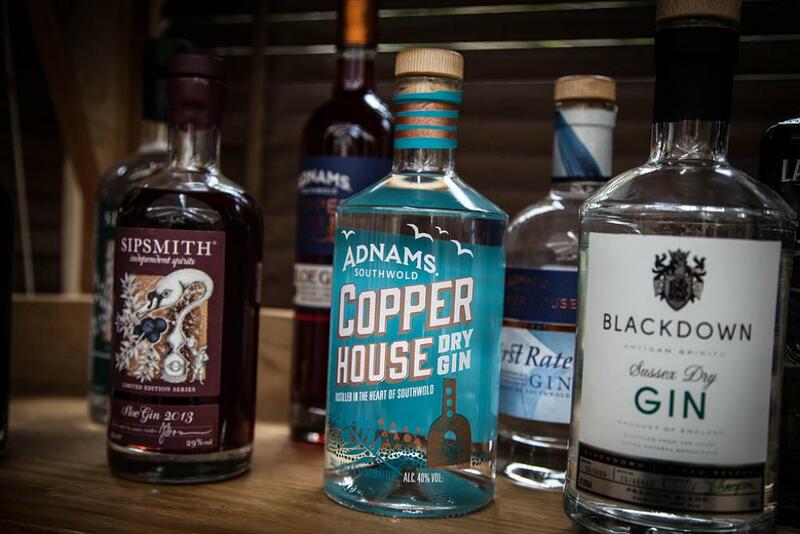 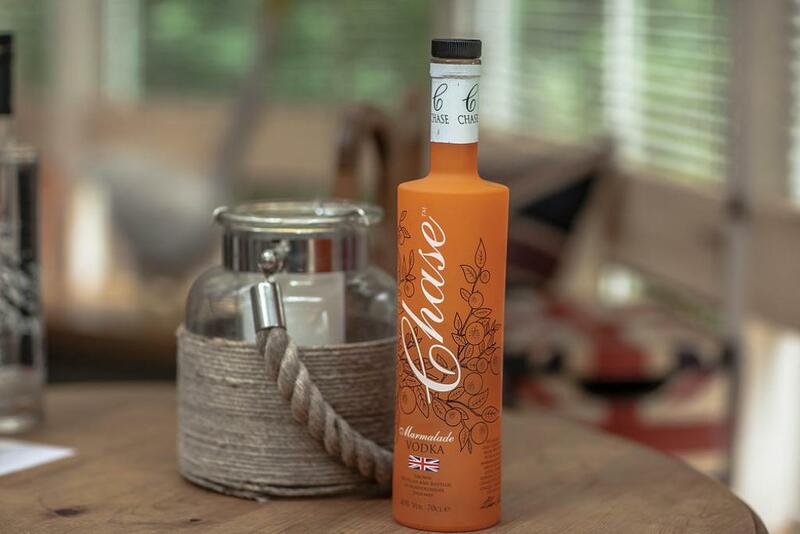 To find us by road from the South & West, take Junction 38, M6 on to the A685 through Kirkby Stephen & Brough Sowerby then right to South Stainmore. 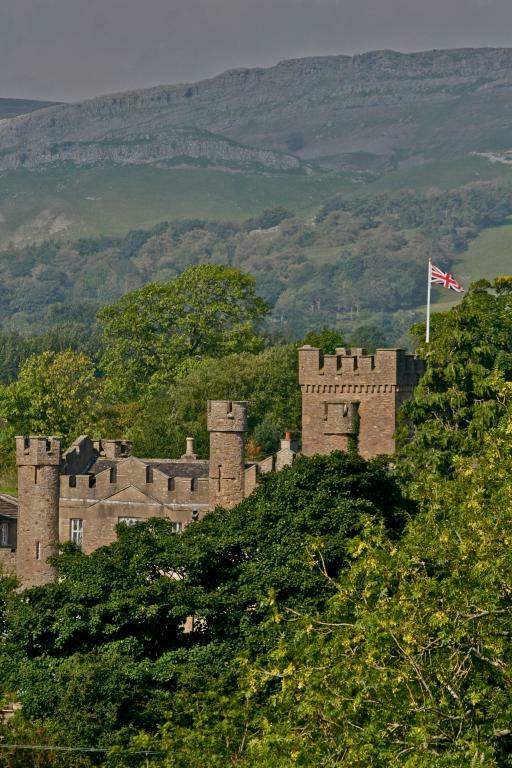 From the North, take Junction 40, M6 at Penrith, on to the A66 east to Brough then right on to the A685, left to South Stainmore. 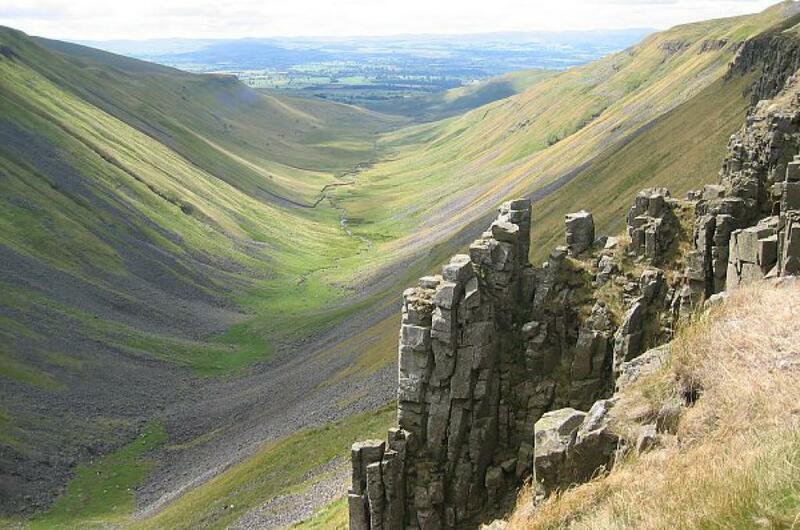 From the East take the A66 at Scotch Corner to Brough (ignore all earlier signs to South Stainmore), left on to the A685 towards Kirkby Stephen & first left to South Stainmore. Rail services from London come into Kirkby Stephen (four hours from Kings Cross via Leeds), Penrith (three hours direct from Euston) & Darlington (two and a half hours direct from Kings Cross). 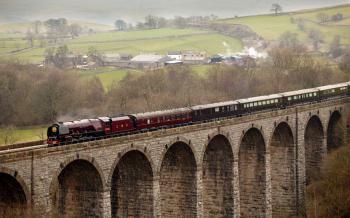 Kirkby Stephen railway is 3 miles from the Castle, Penrith is 23 miles and Darlington is 40 miles. Teesside Airport is 45 minutes drive to the East. 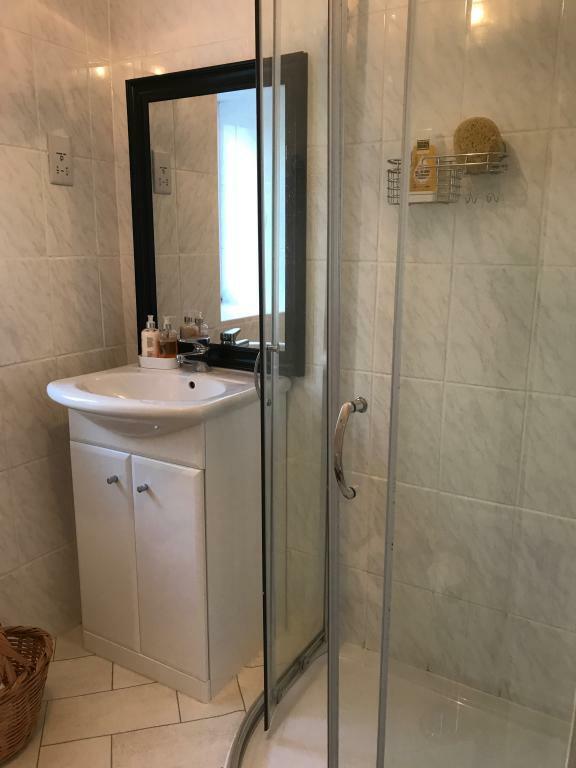 Newcastle Airport is 75 minutes away North. 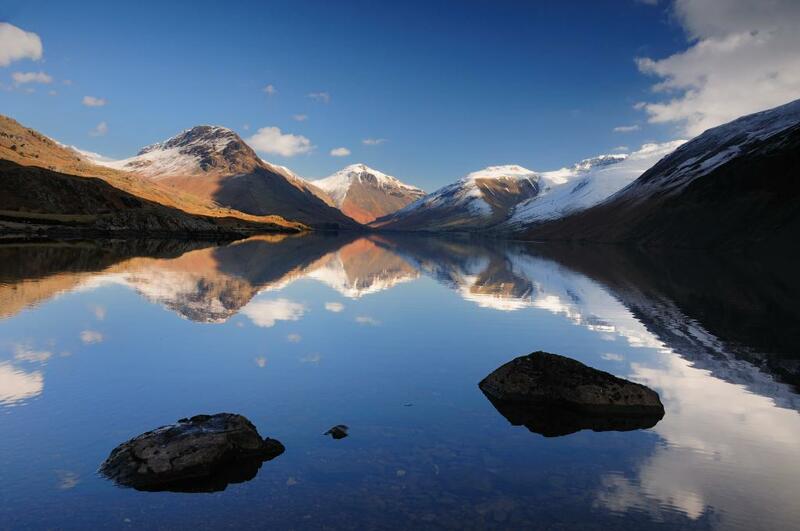 Manchester Airport is two hours South. 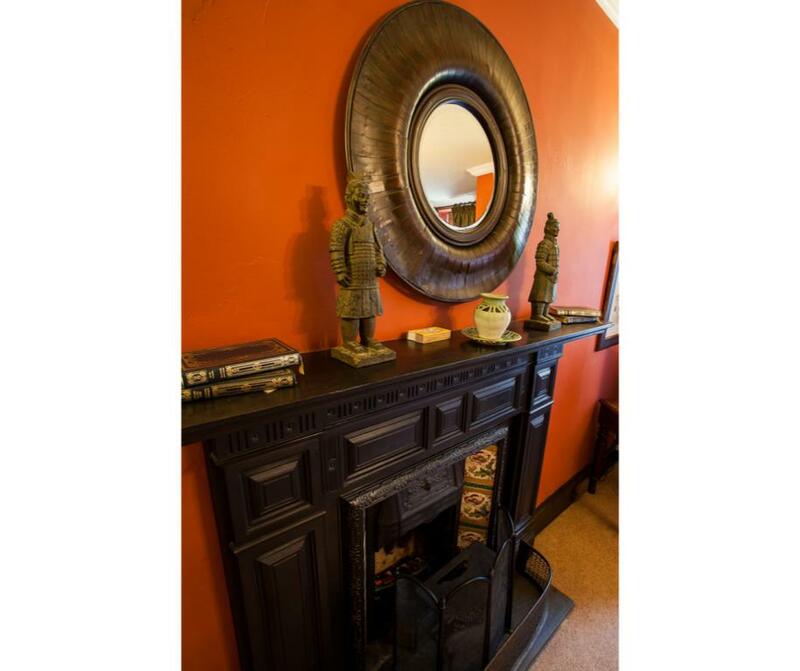 Leeds Bradford is 90 minutes South. 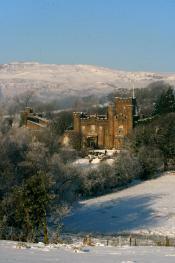 Edinburgh and Glasgow are both around two hours North. Liverpool is around 90 minutes South. While getting to us is straightforward, public transport locally is not good. 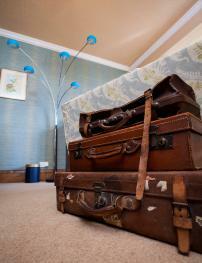 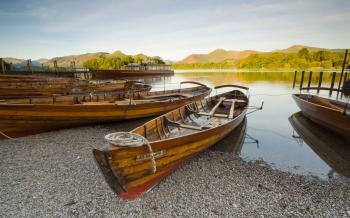 Buses are rare so to get the best out of your stay with us we recommend you have your own transport.